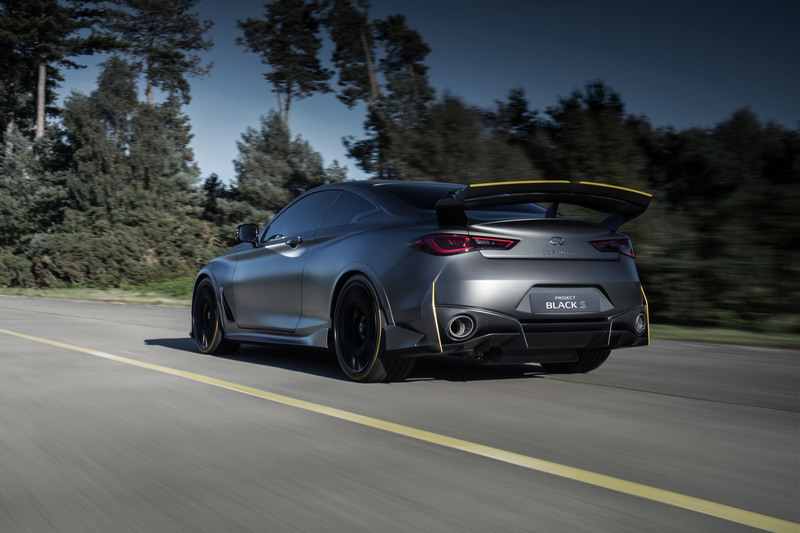 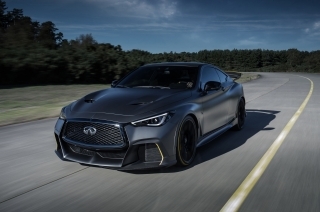 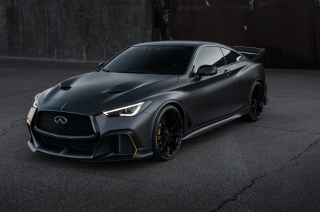 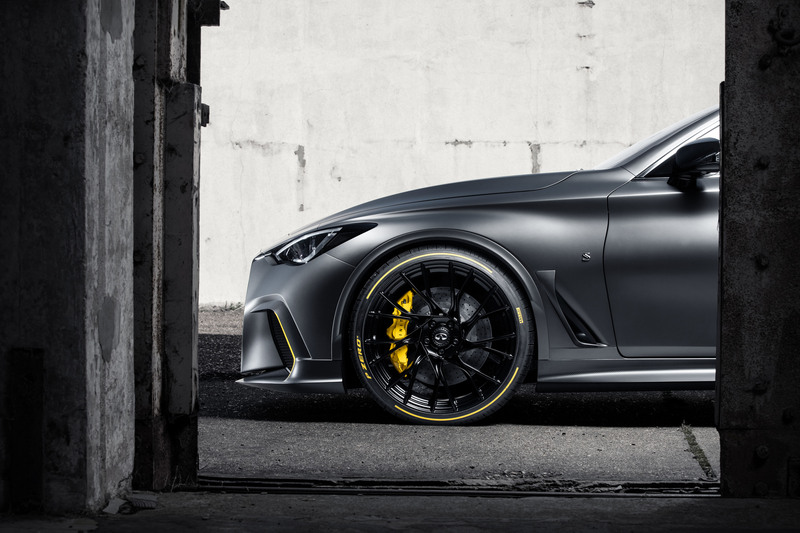 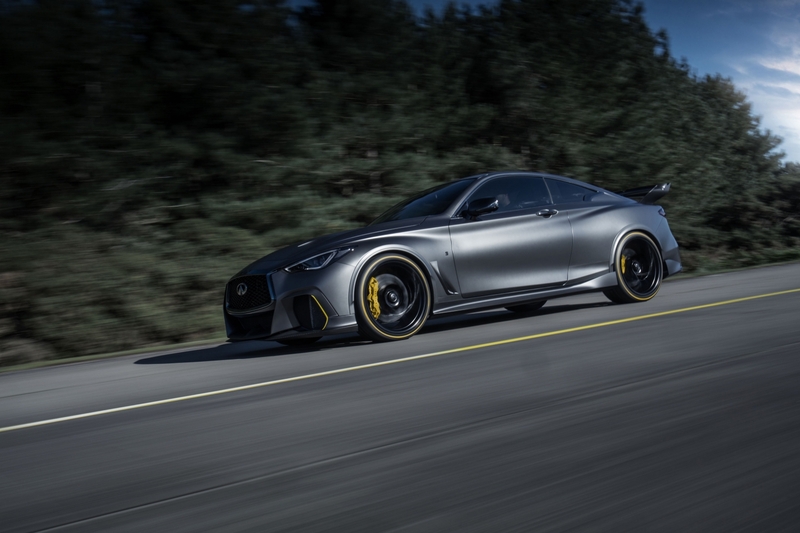 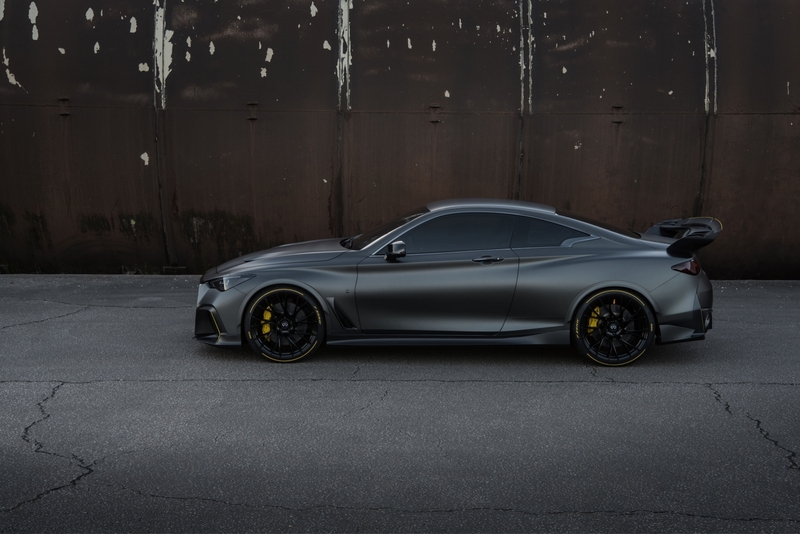 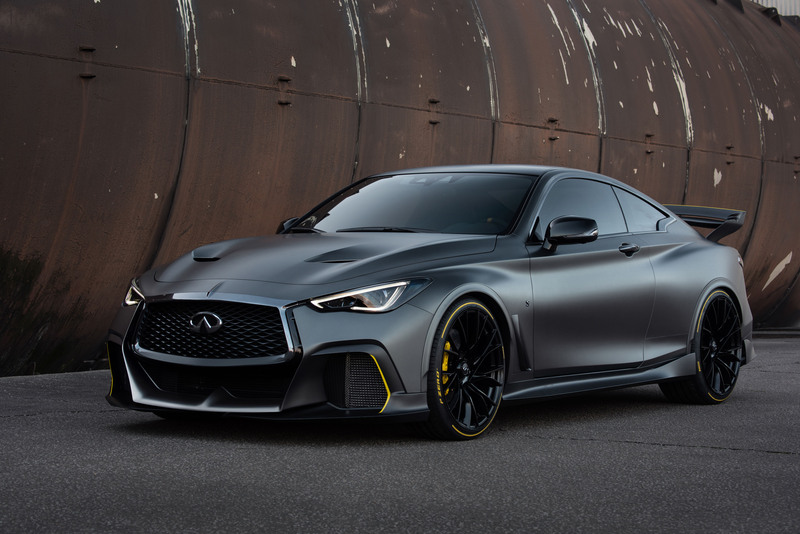 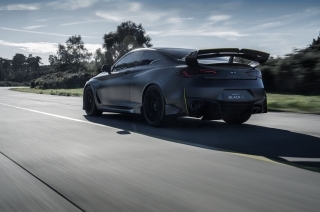 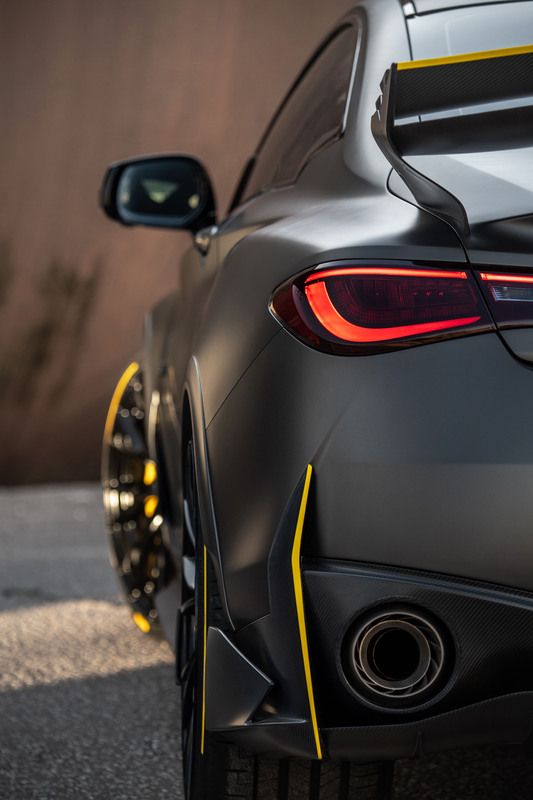 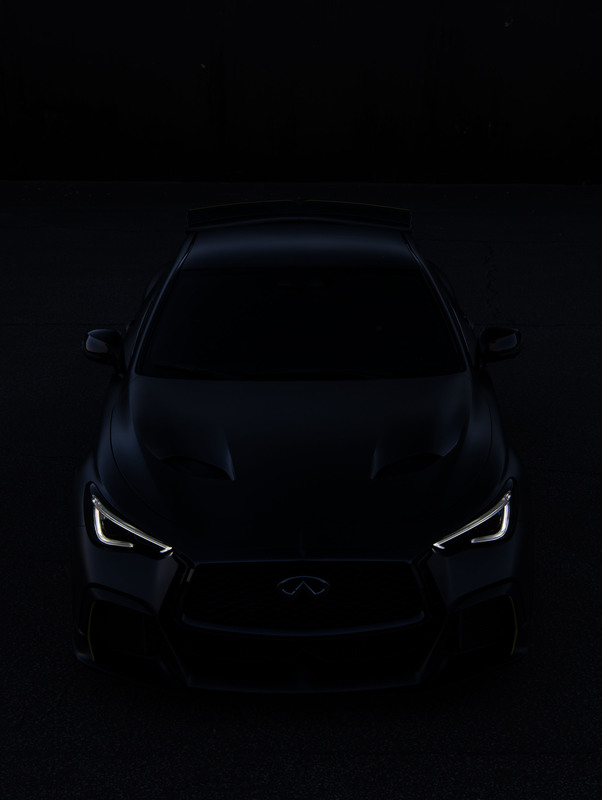 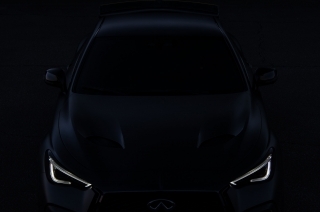 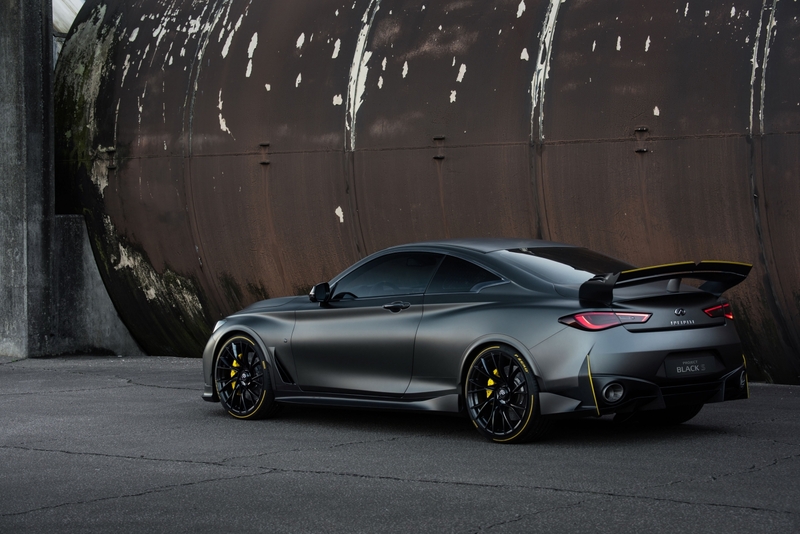 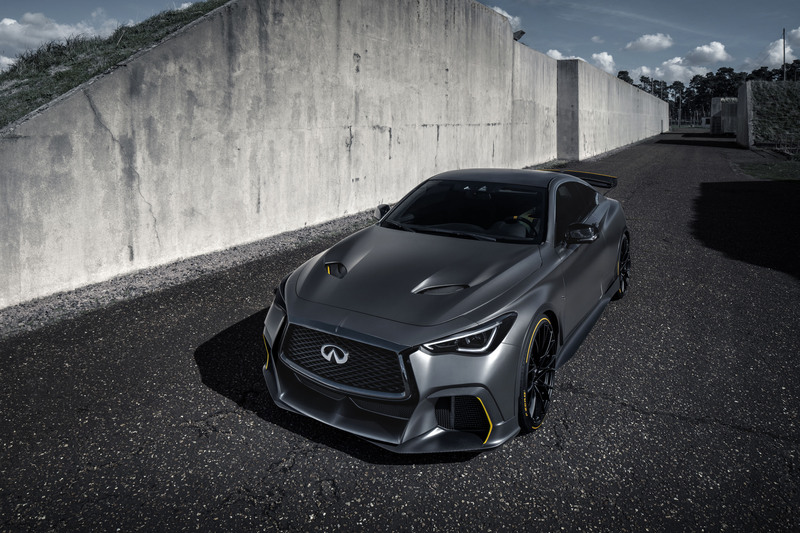 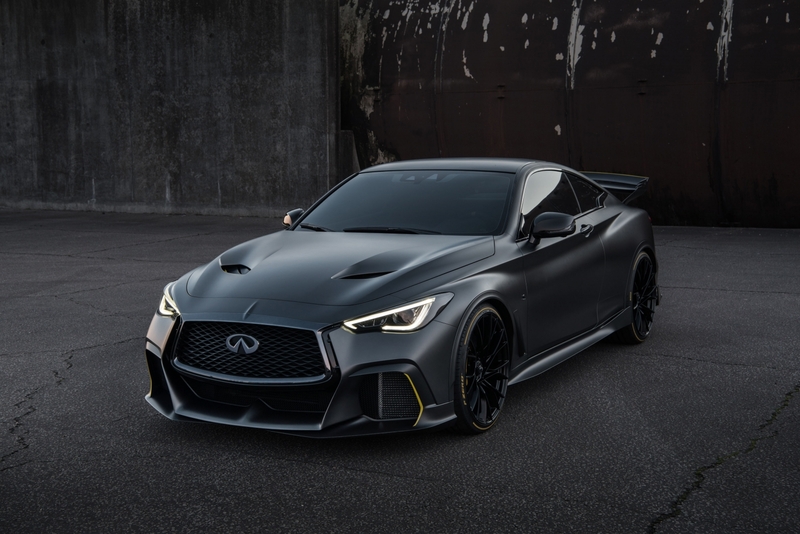 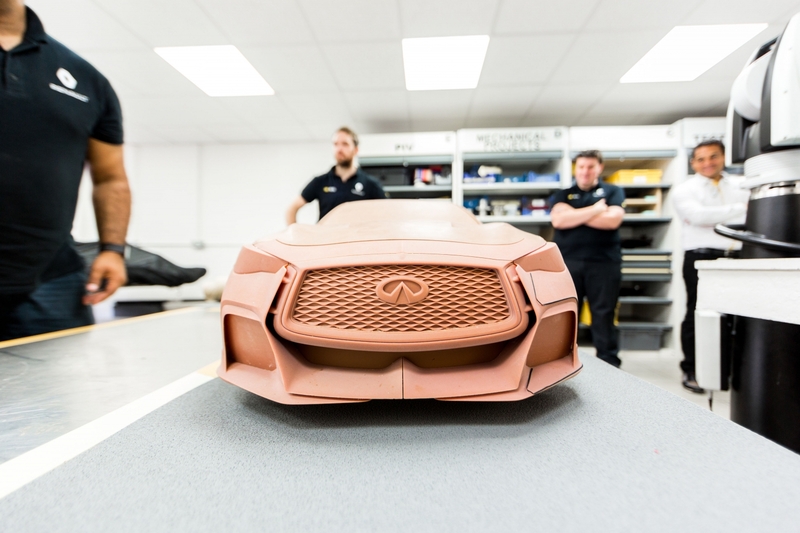 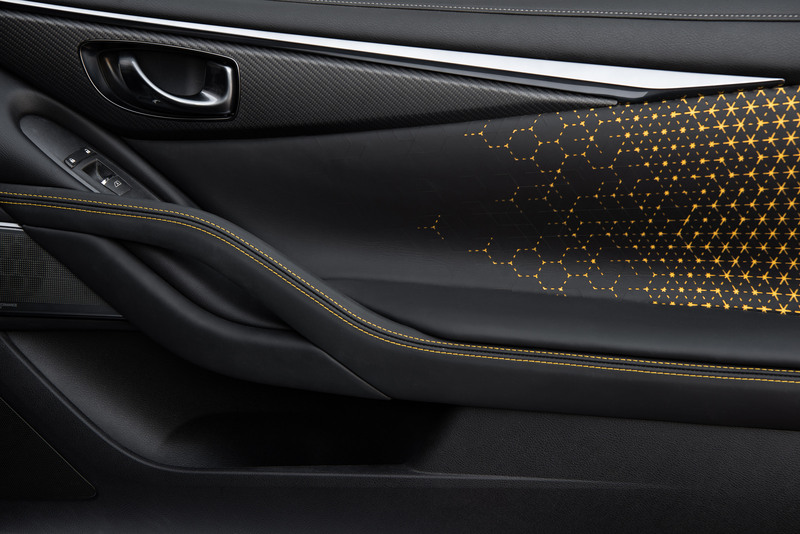 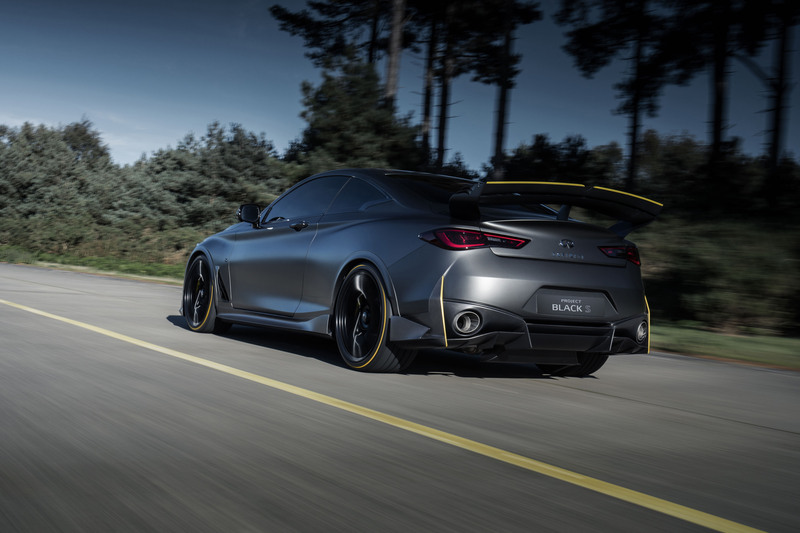 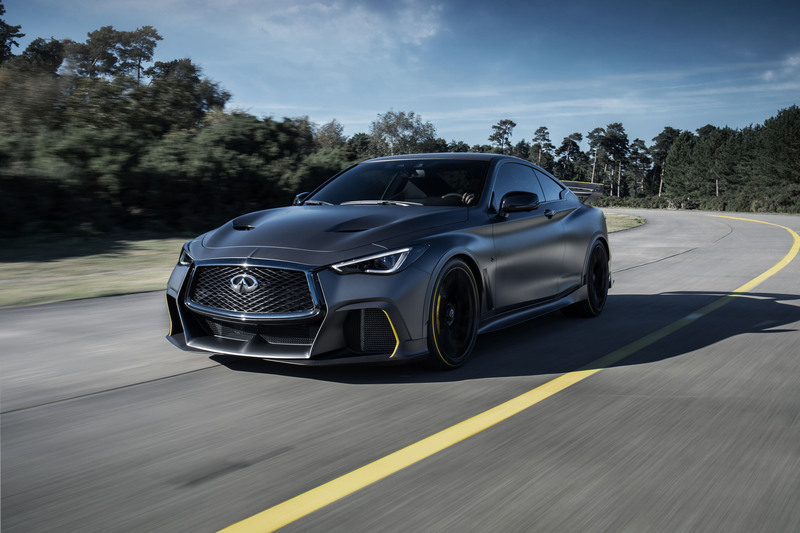 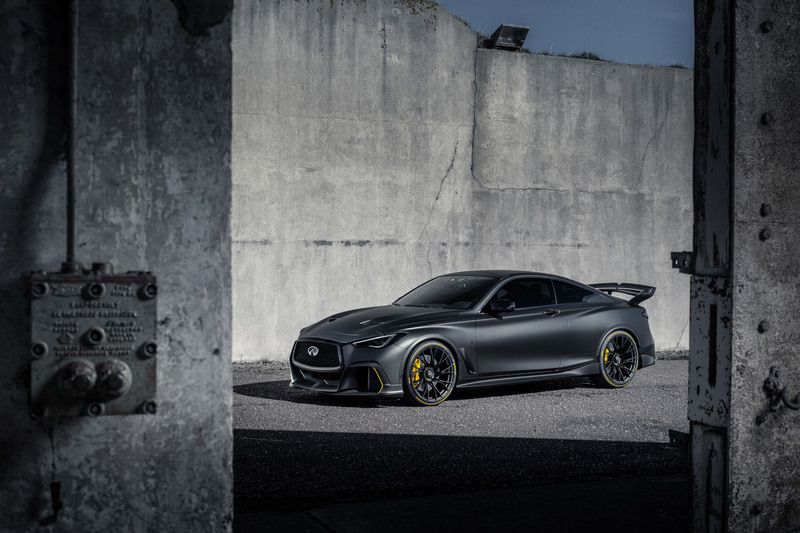 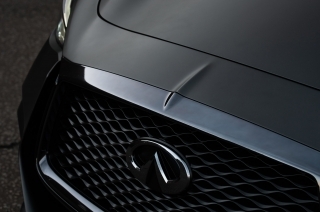 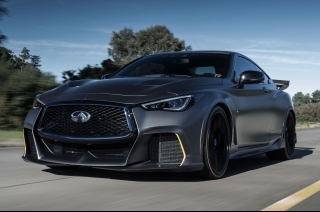 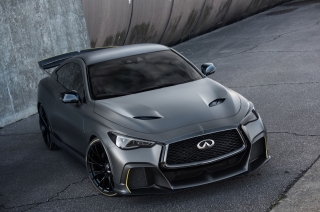 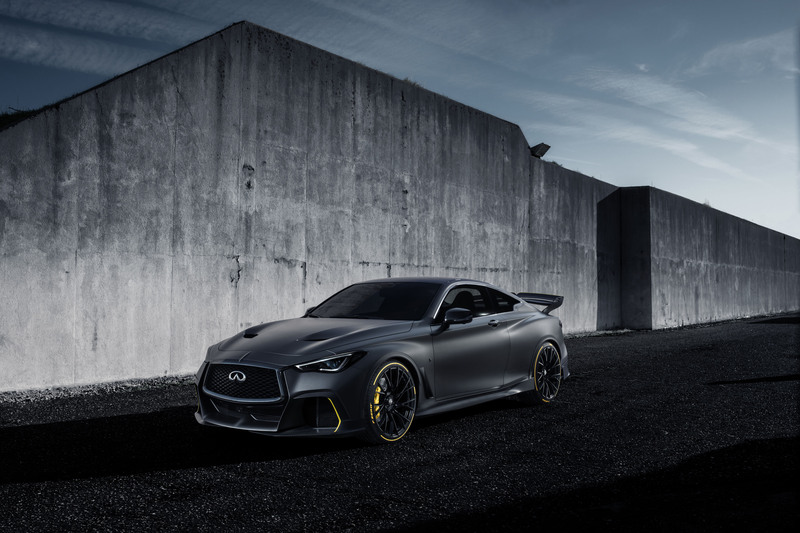 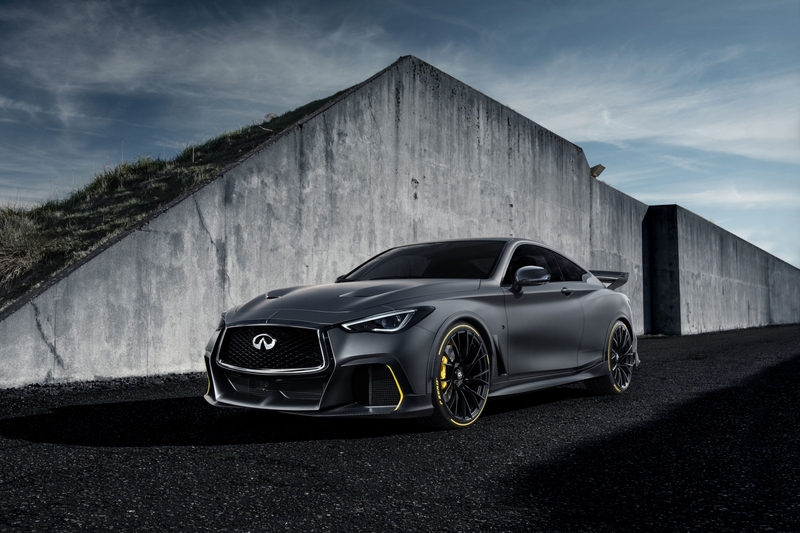 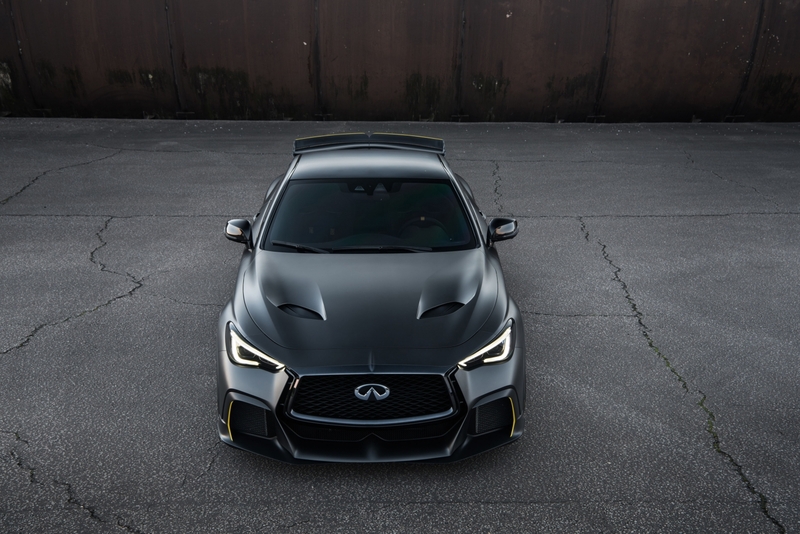 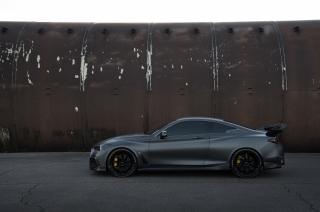 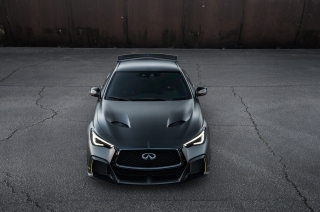 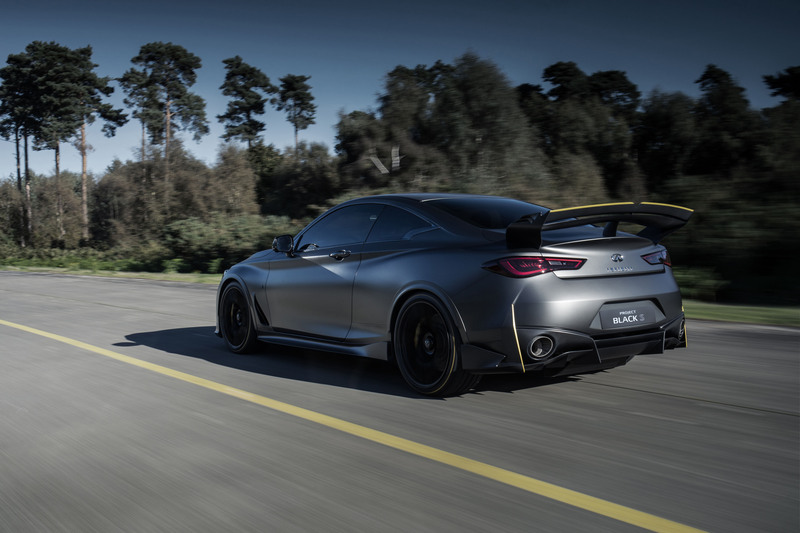 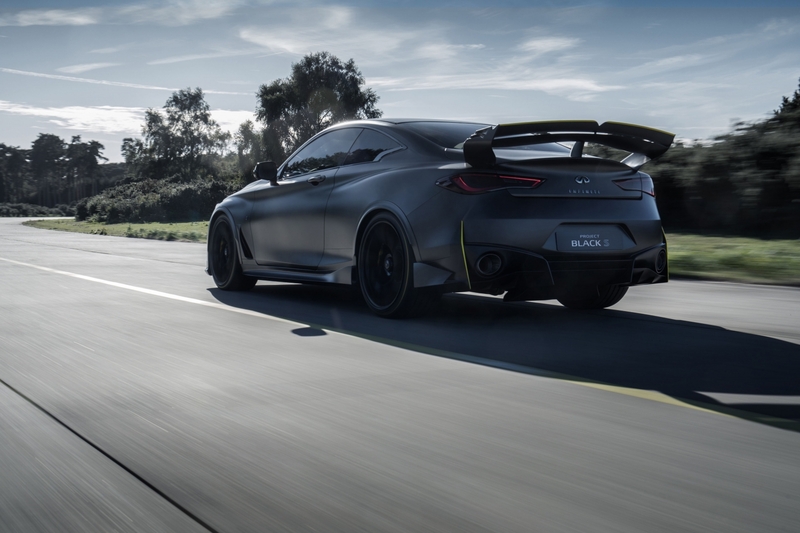 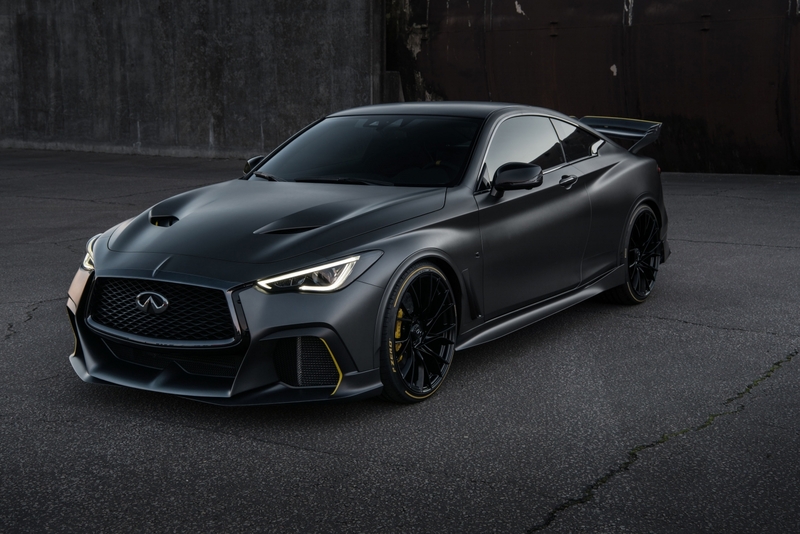 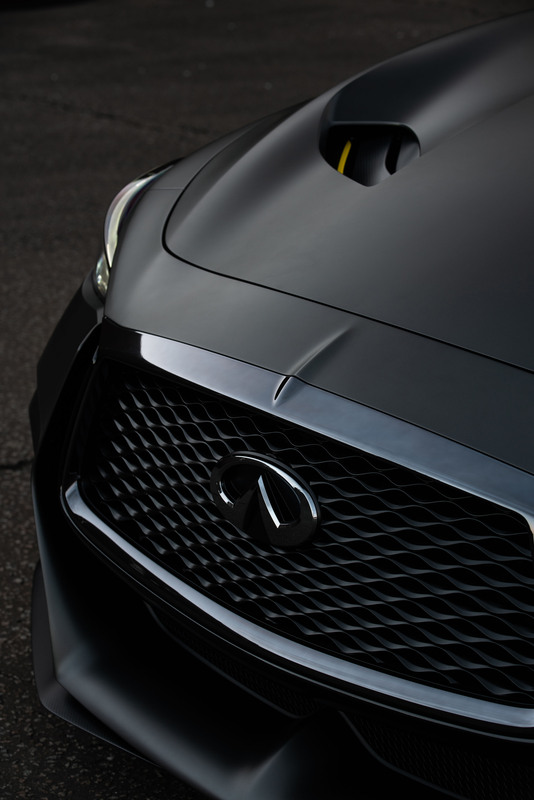 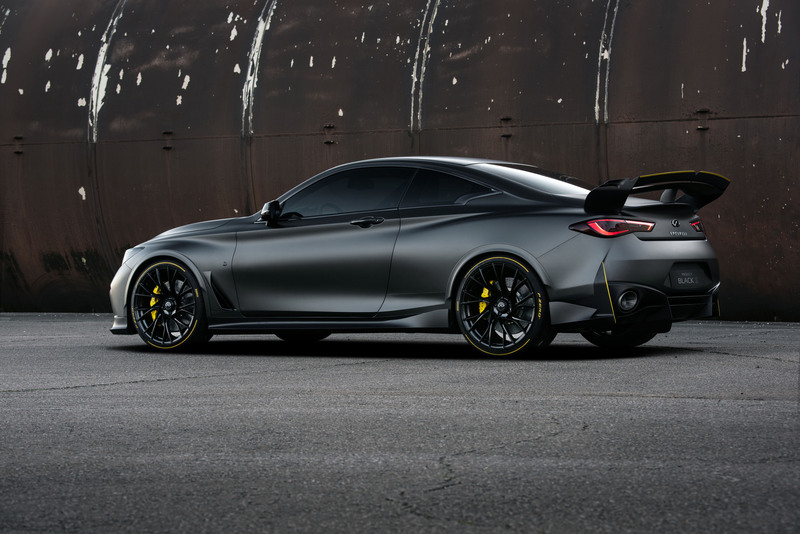 The Q60 Project Black S development prototype produces more power and accelerates more quickly than any INFINITI road car to-date. 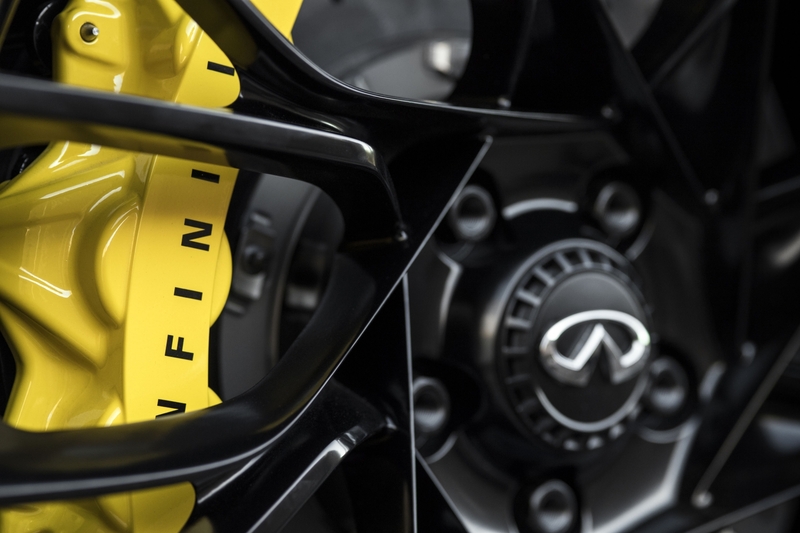 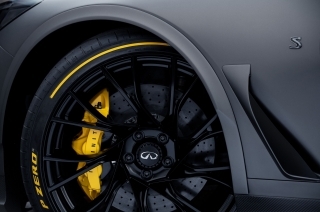 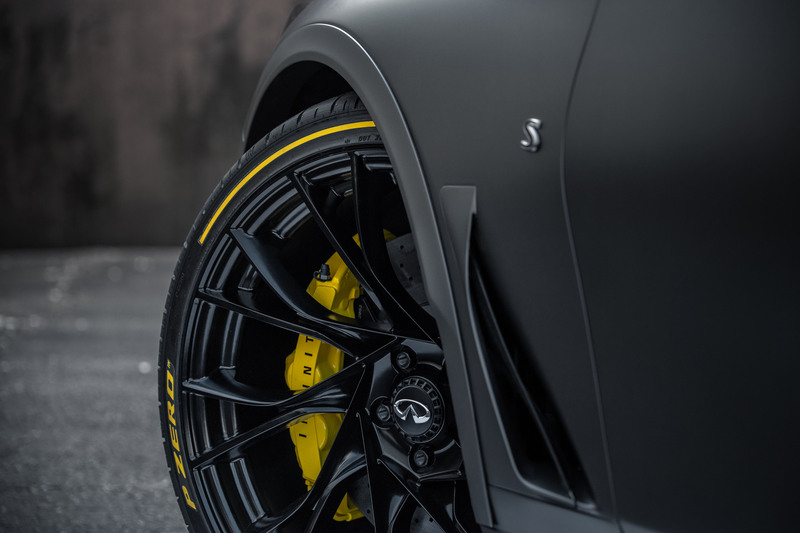 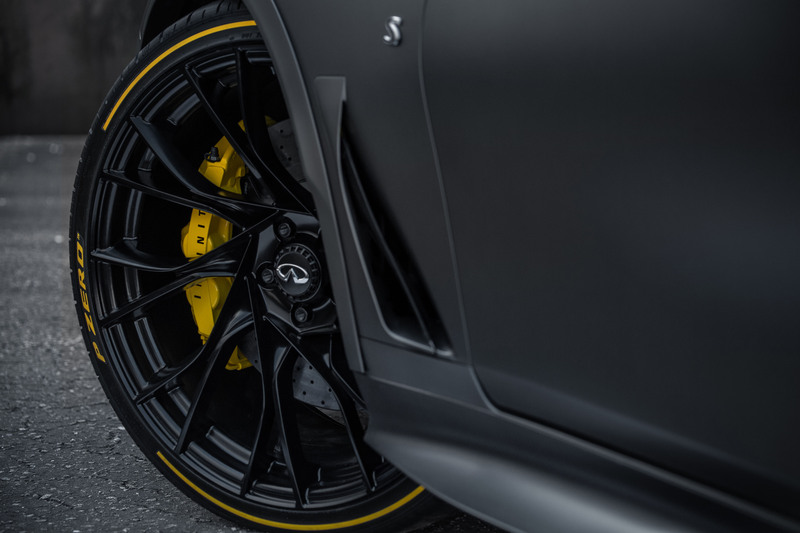 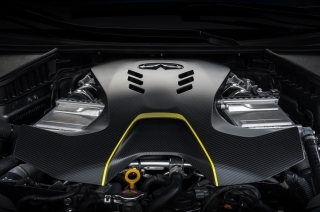 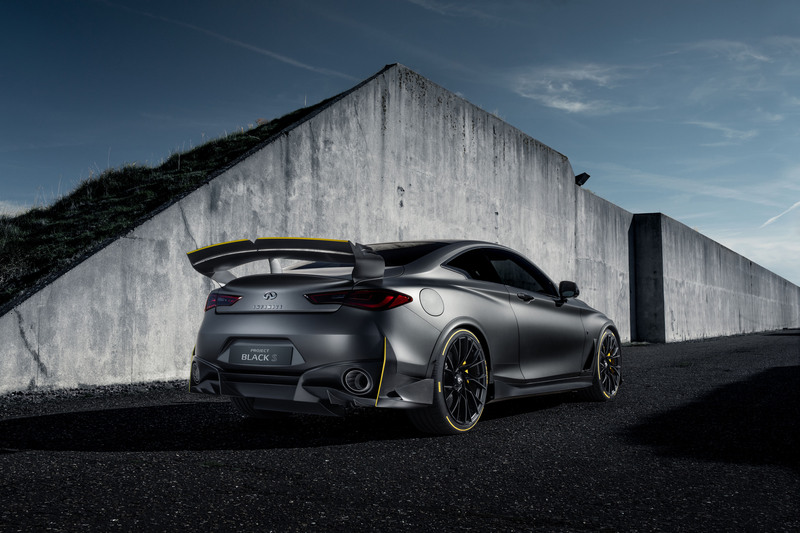 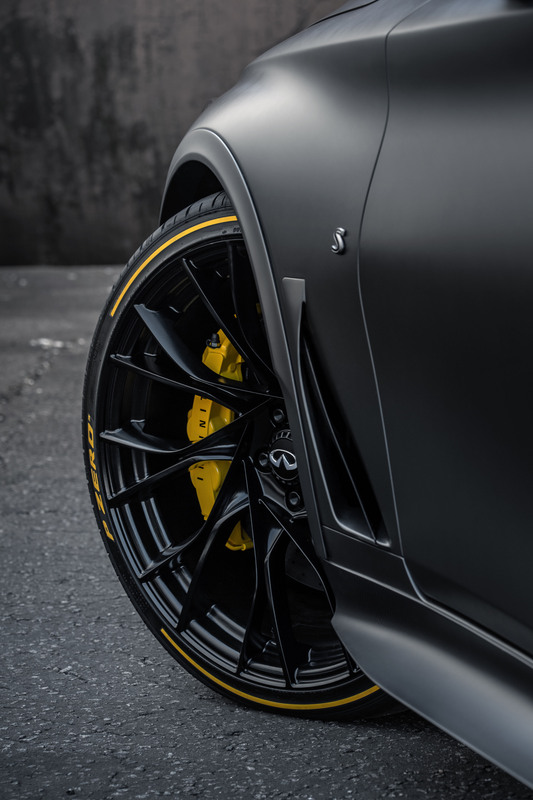 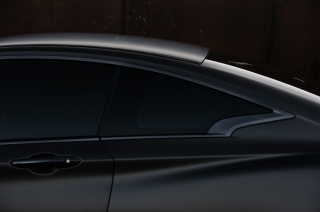 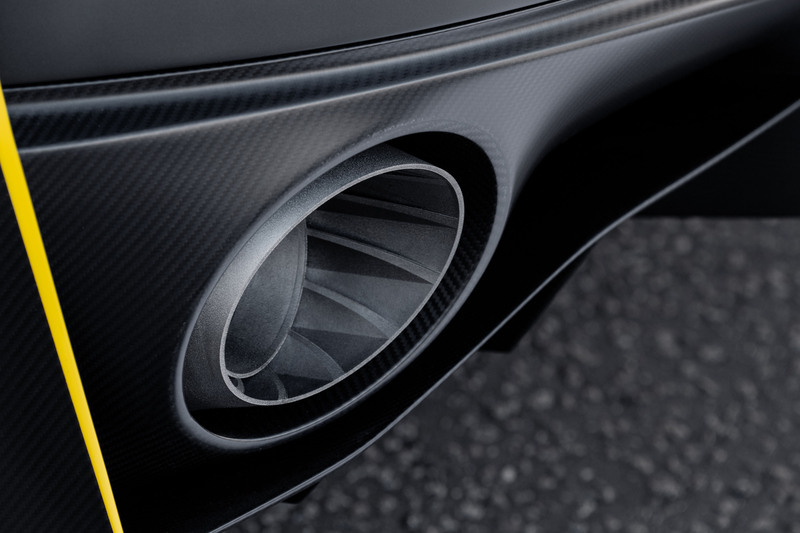 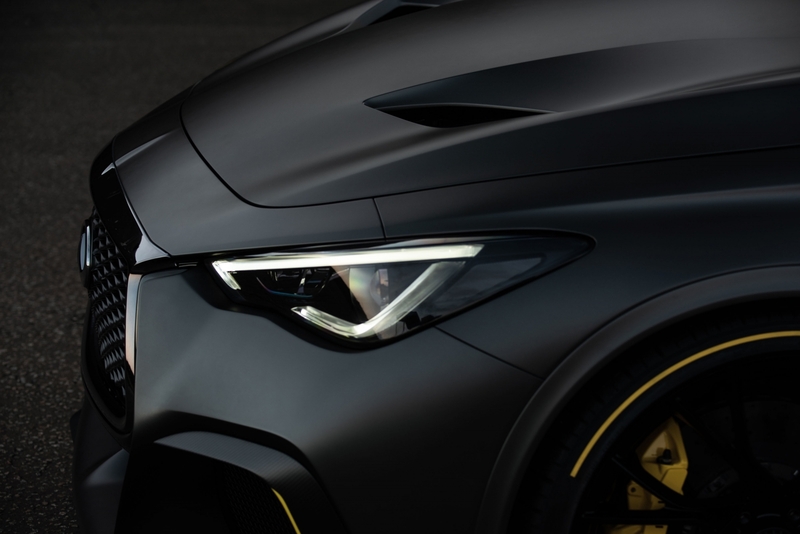 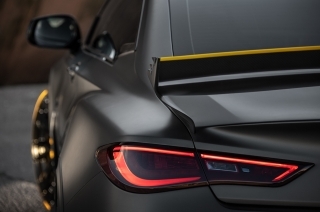 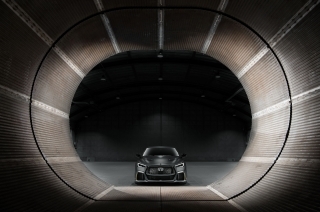 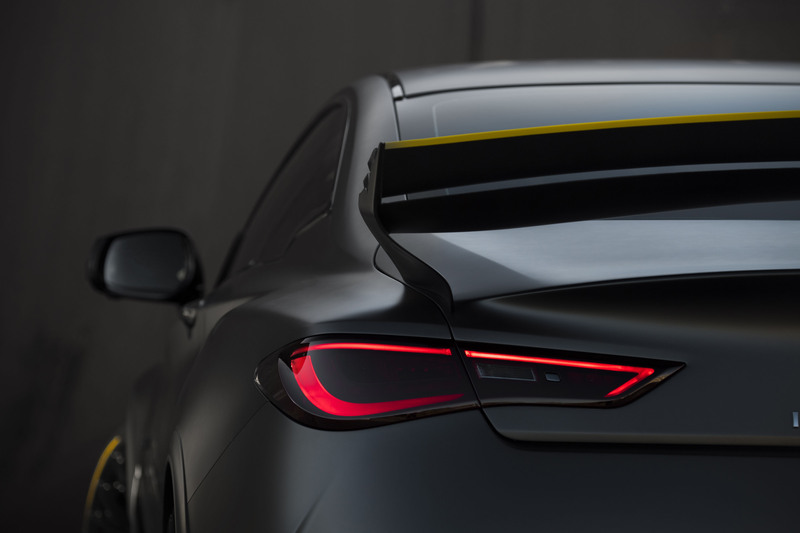 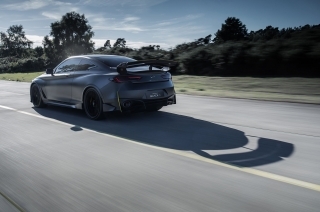 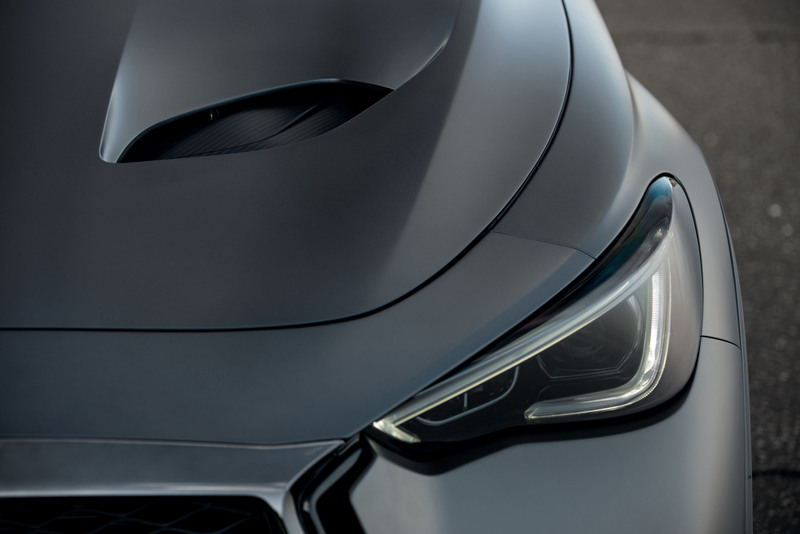 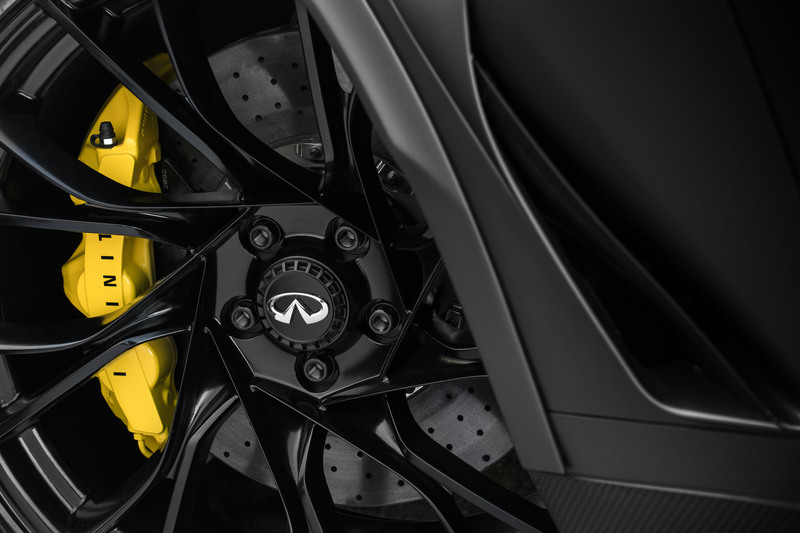 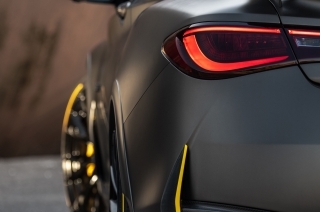 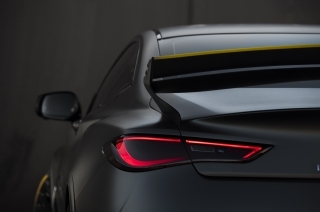 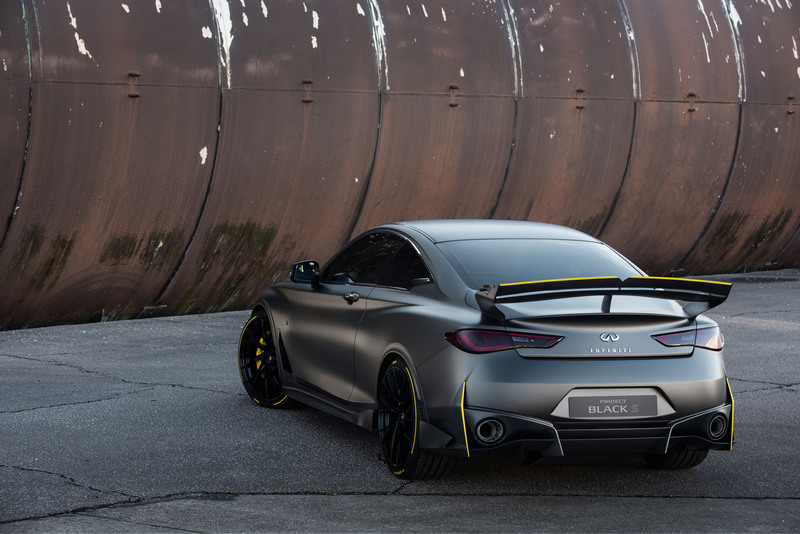 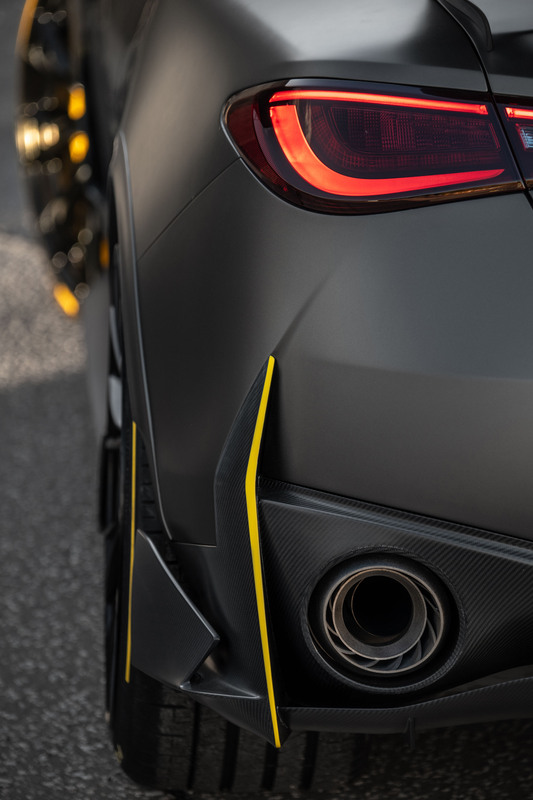 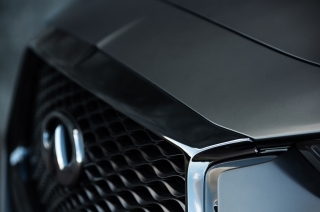 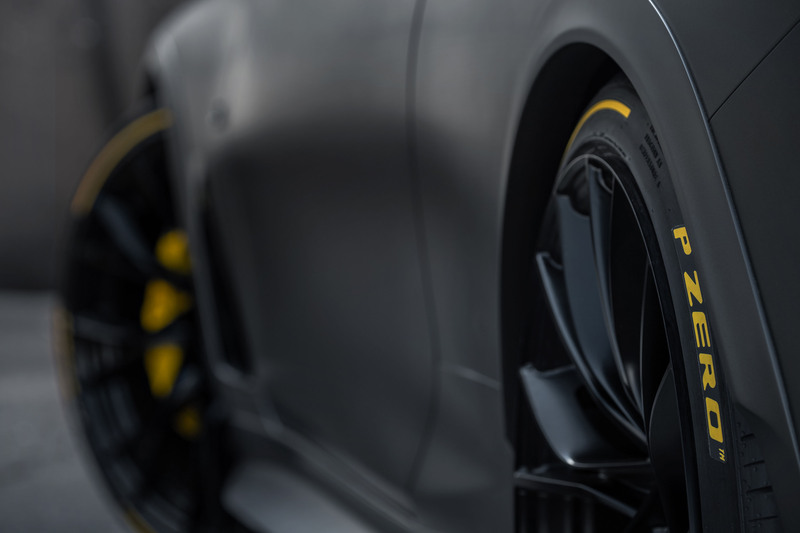 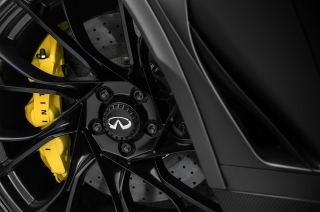 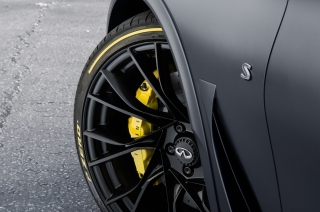 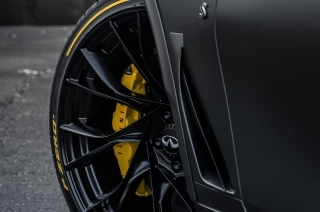 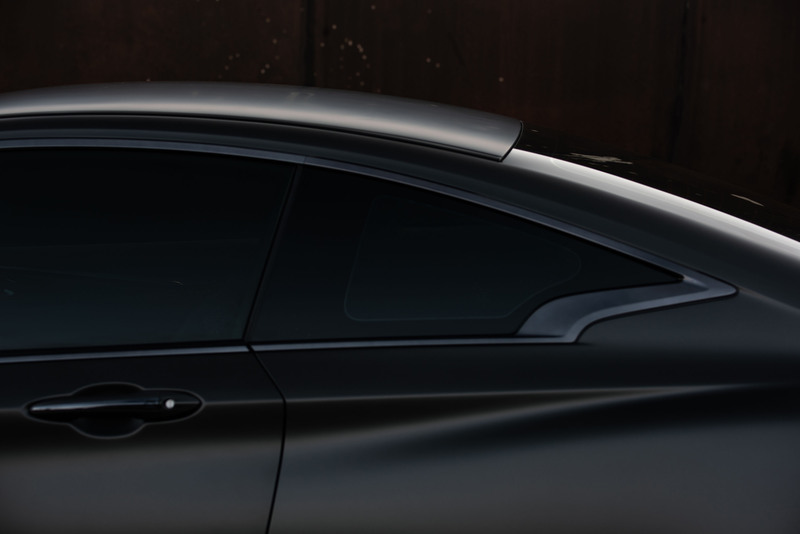 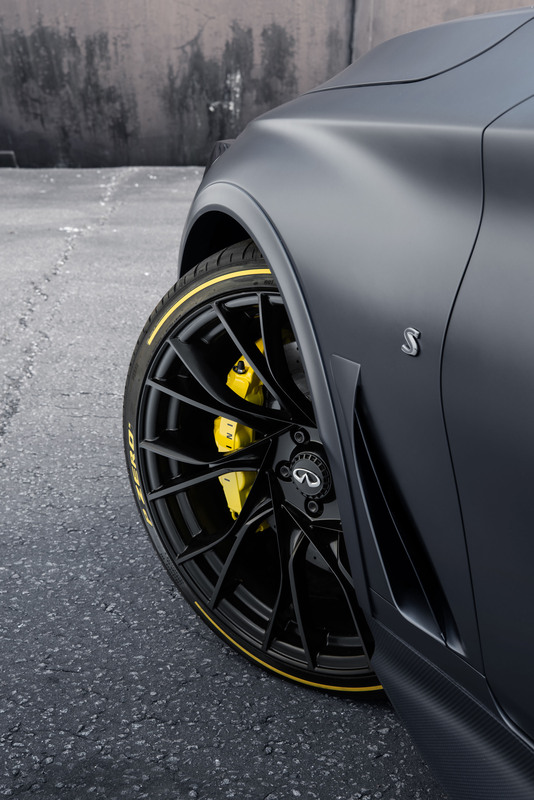 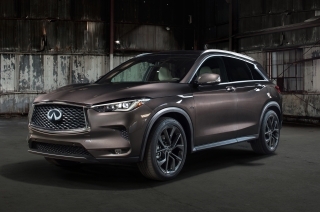 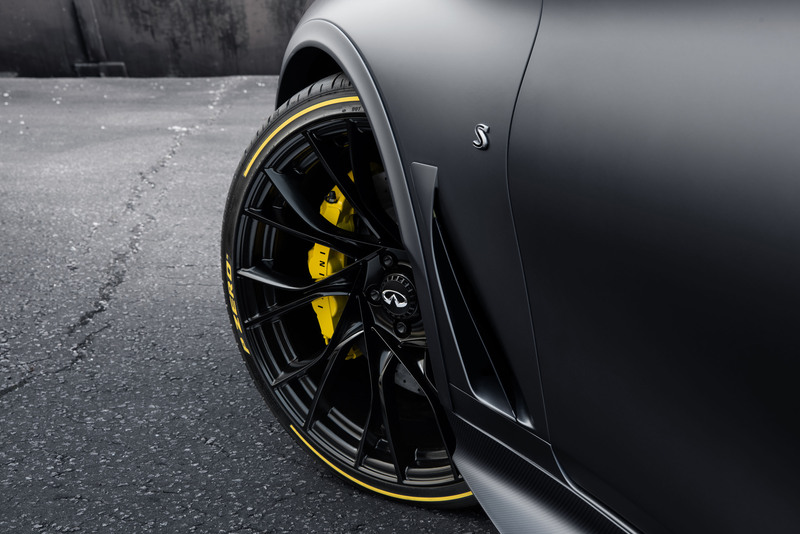 Combining smart energy recovery systems with INFINITI’s high-performance VR30 3.0-litre twin-turbo engine, the Project Black S hints at the potential for true supersport performance from a dual-hybrid powertrain. 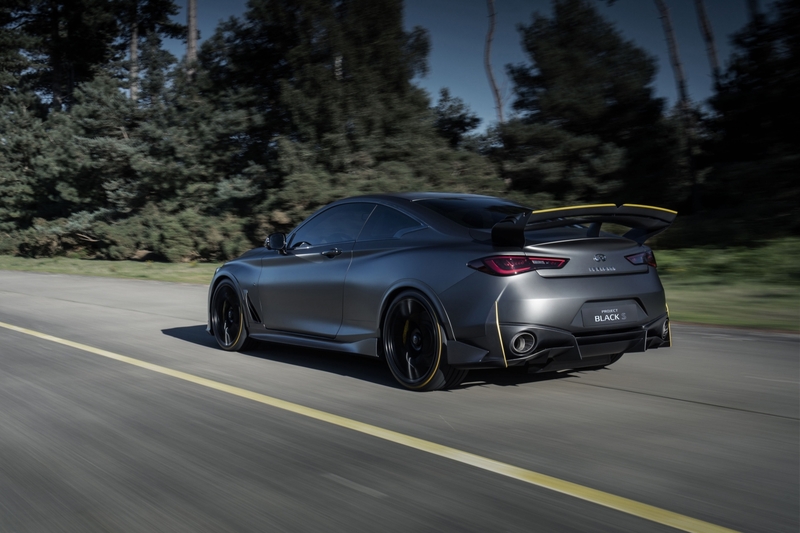 With 420 kW (571 ps / 563 hp) – 41% more than the Q60 Red Sport 400 – the prototype can accelerate from 0-to-100 kph in under four seconds. Furthermore, the dual-hybrid system uses the MGU-K system to provide a high-response electrically-assisted launch control system. 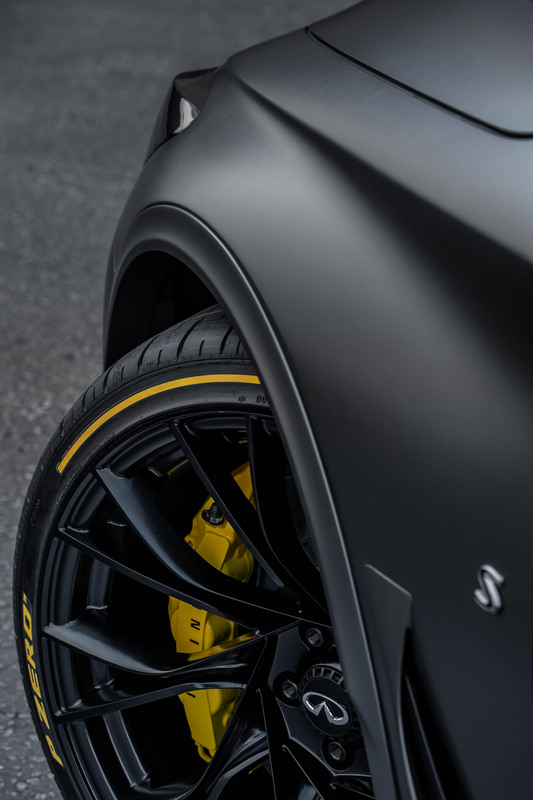 With the battery pack sufficiently charged, the low-down torque of the electric motor – paired up with a helical gear limited-slip differential to manage power delivery to the rear wheels – enables maximum acceleration from a standstill. 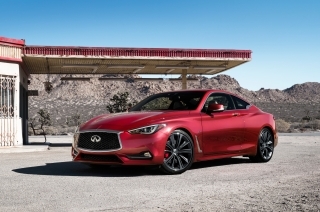 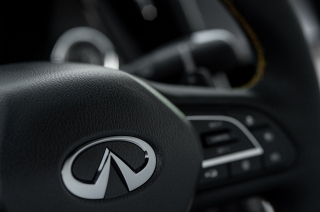 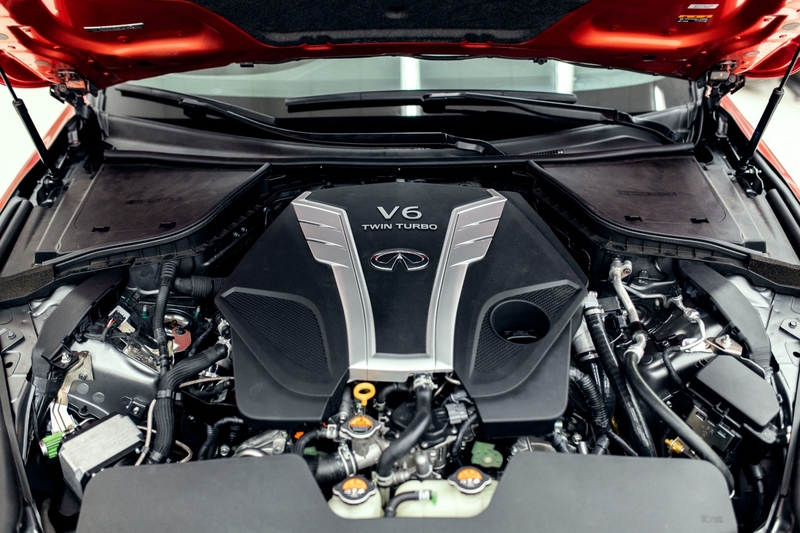 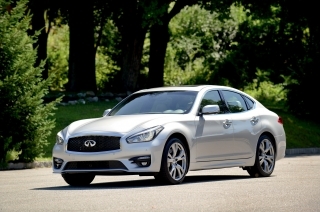 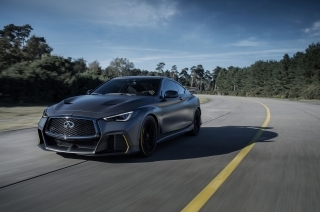 The development car’s new powertrain creates the potential for a top speed in excess of that of the Q60 Red Sport 400 upon which it is based. 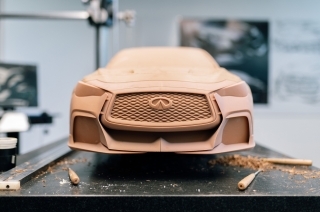 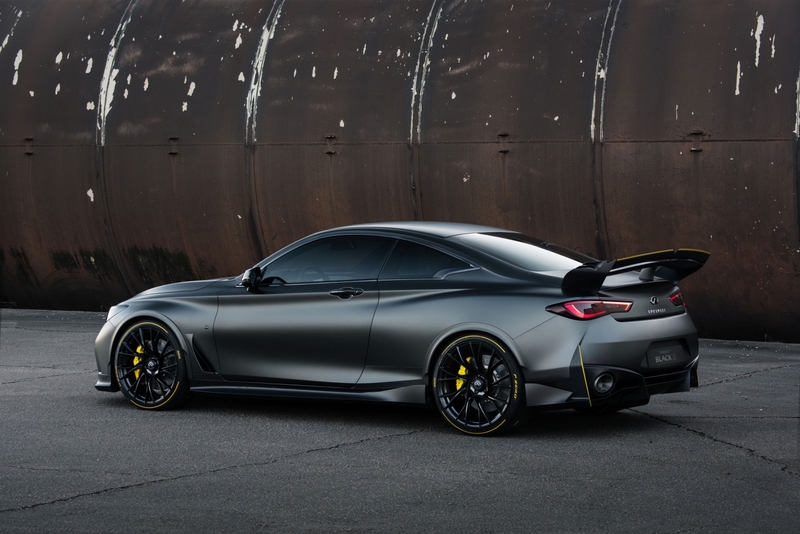 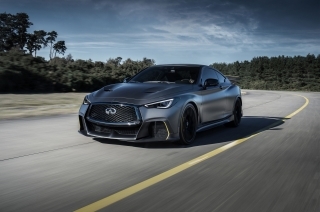 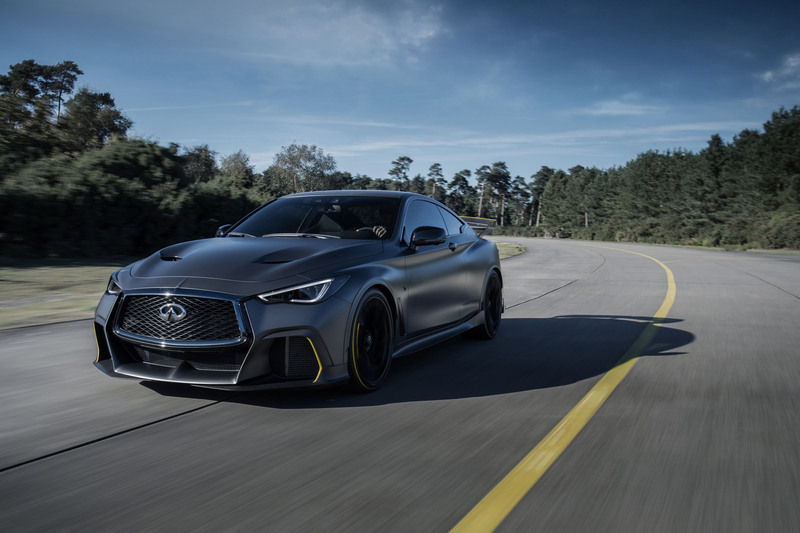 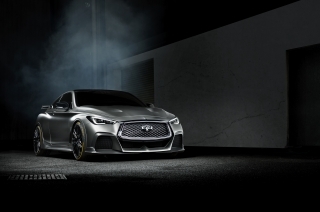 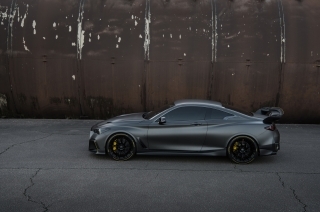 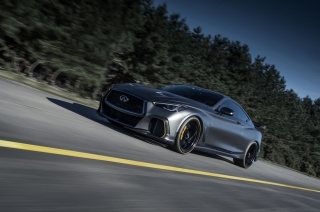 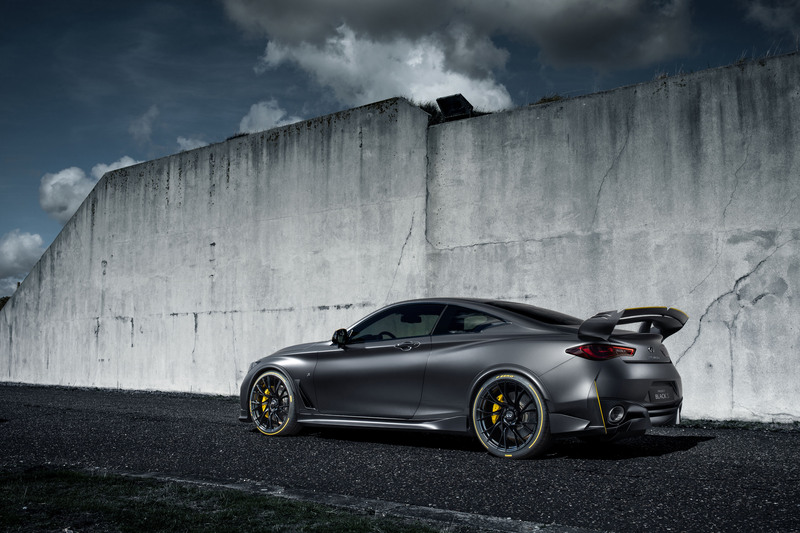 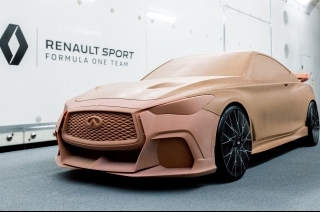 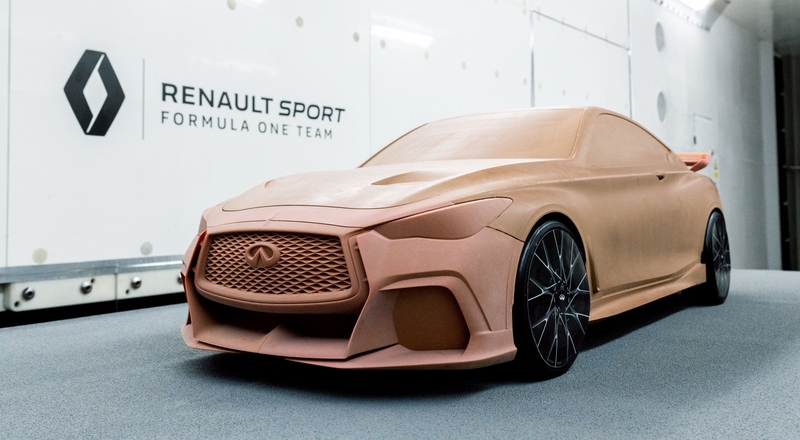 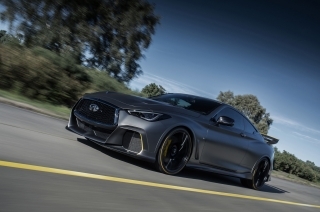 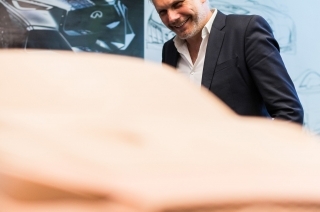 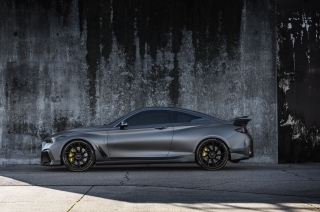 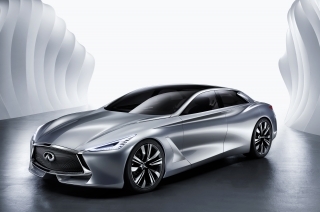 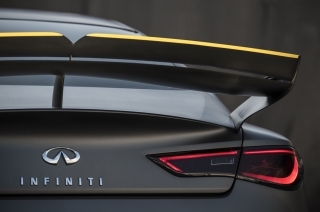 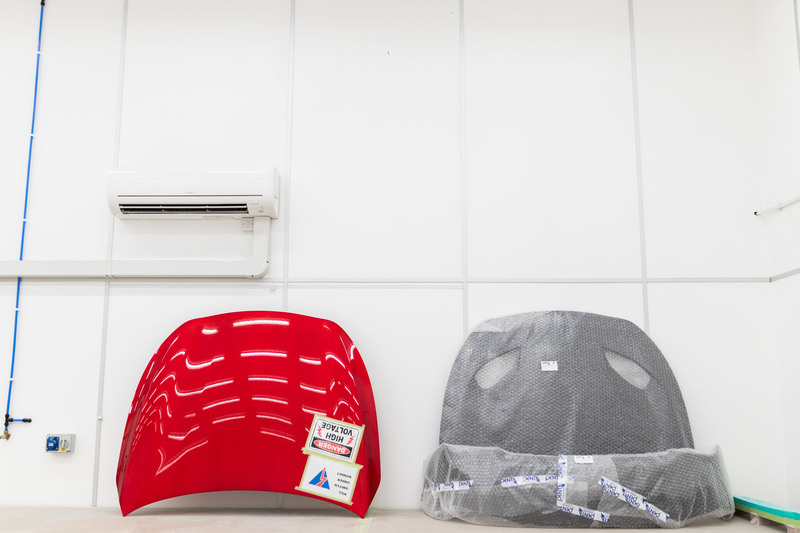 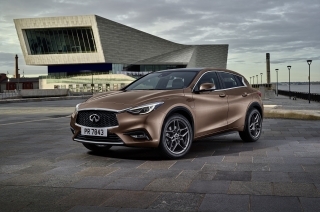 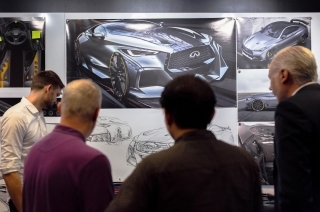 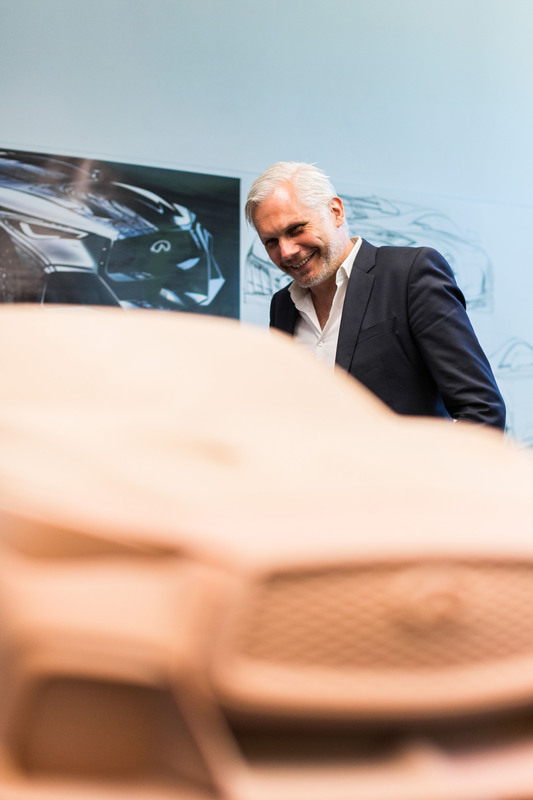 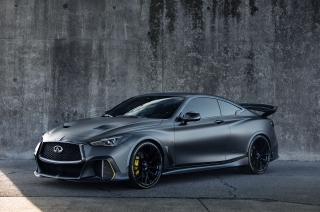 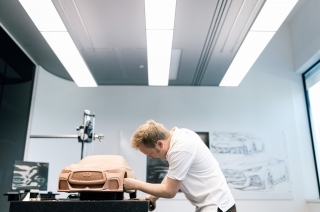 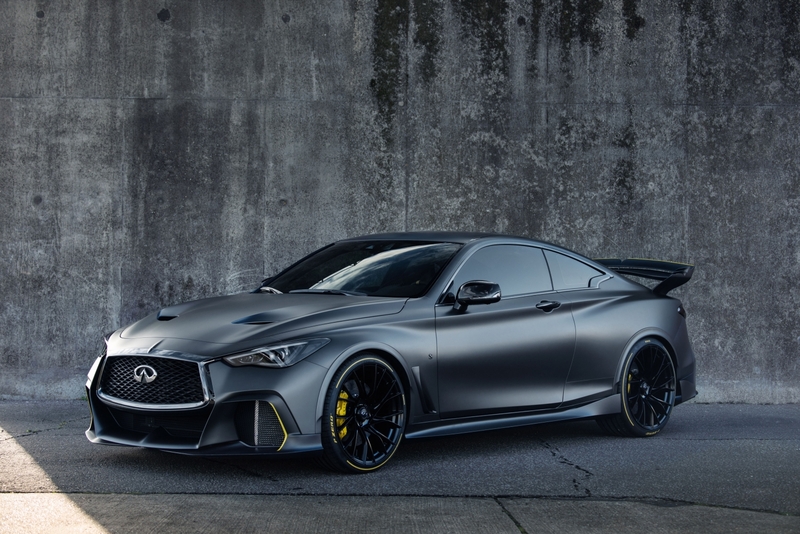 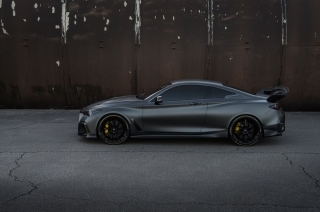 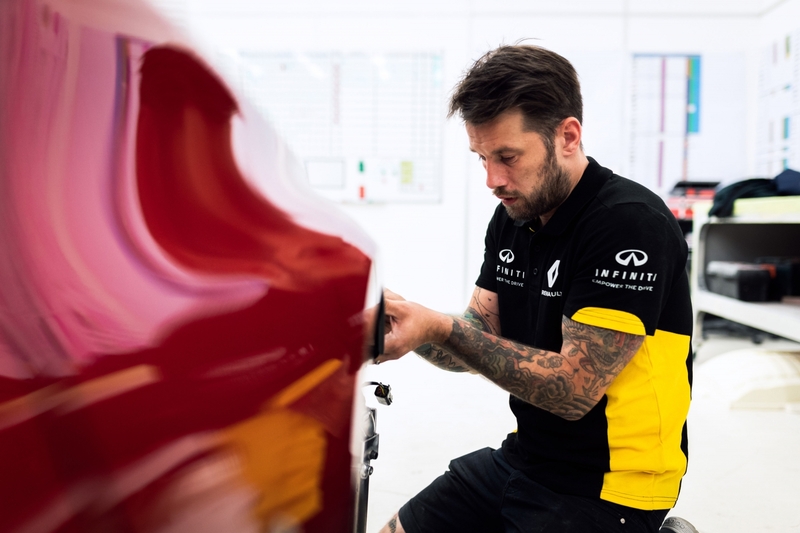 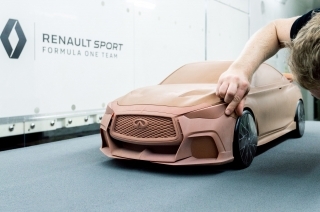 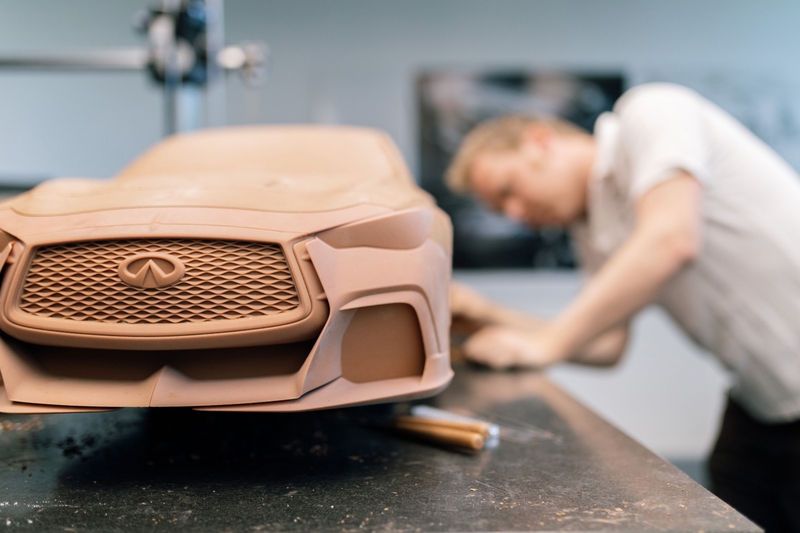 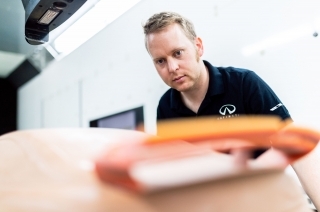 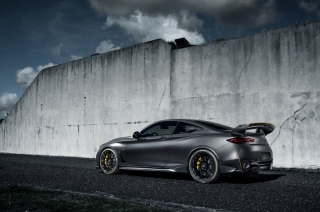 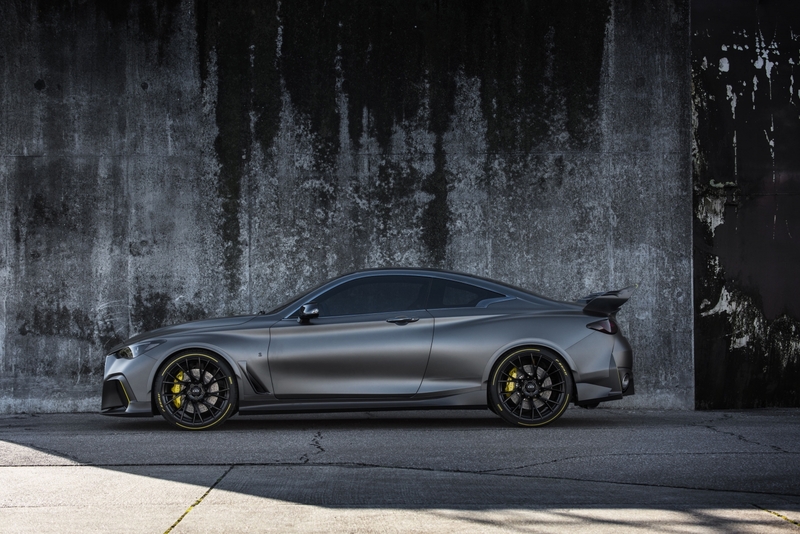 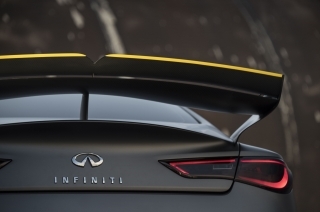 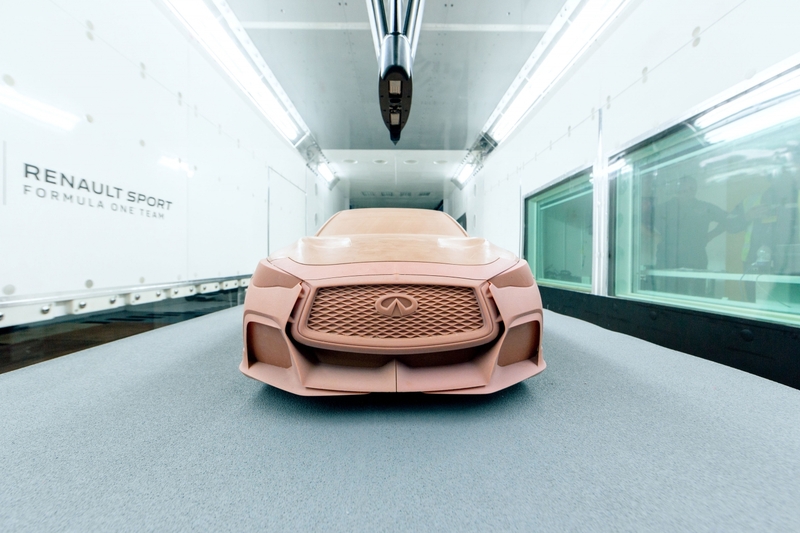 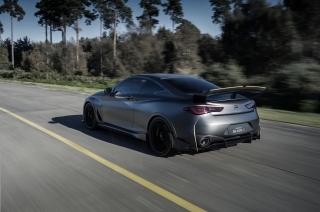 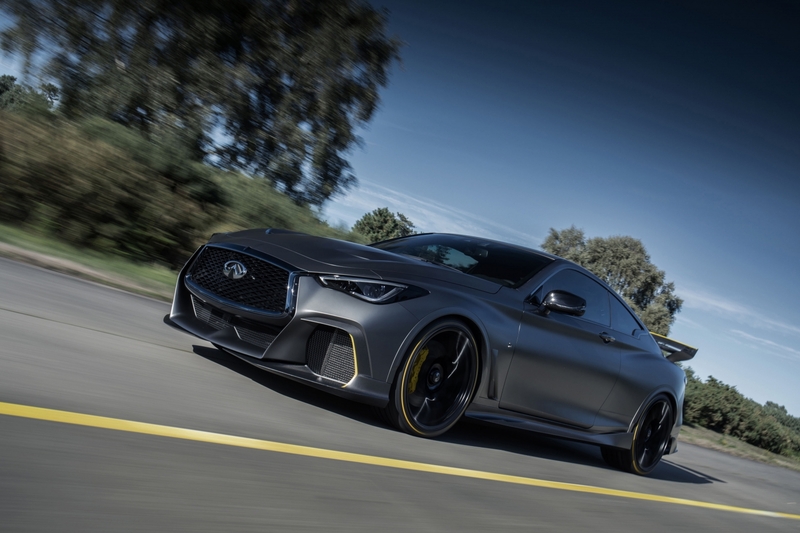 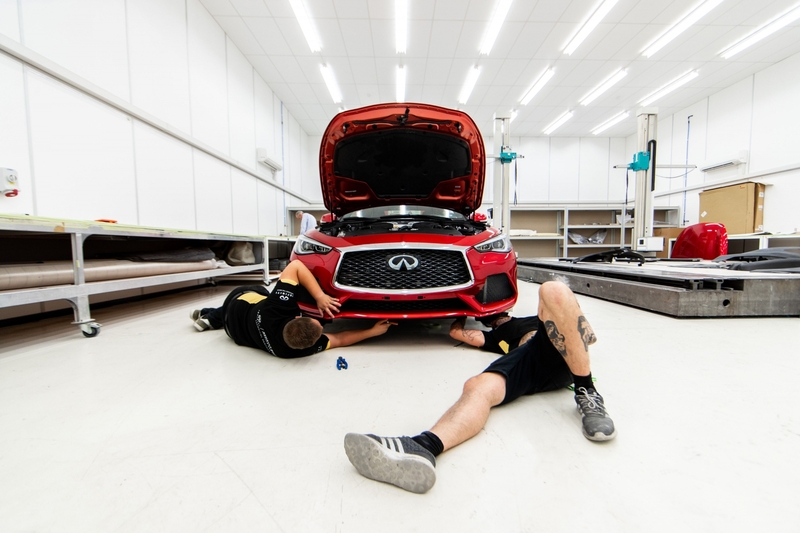 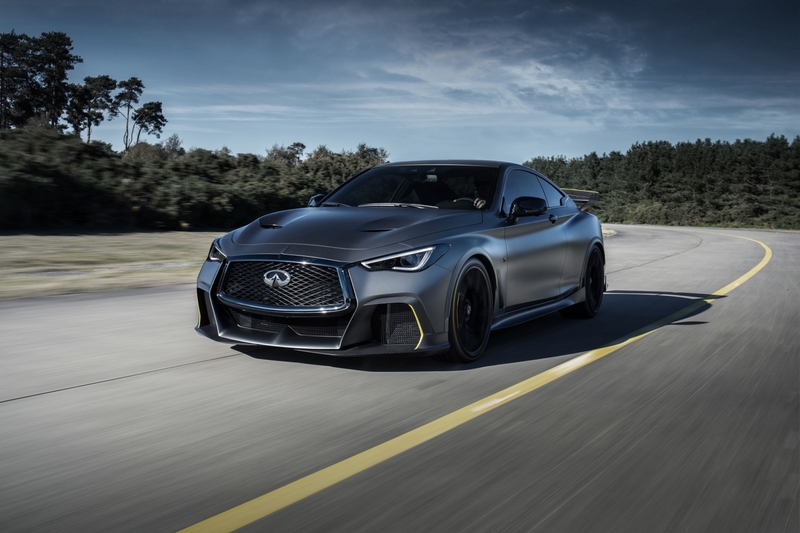 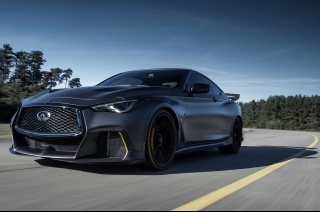 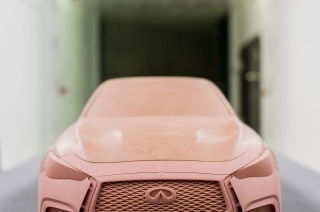 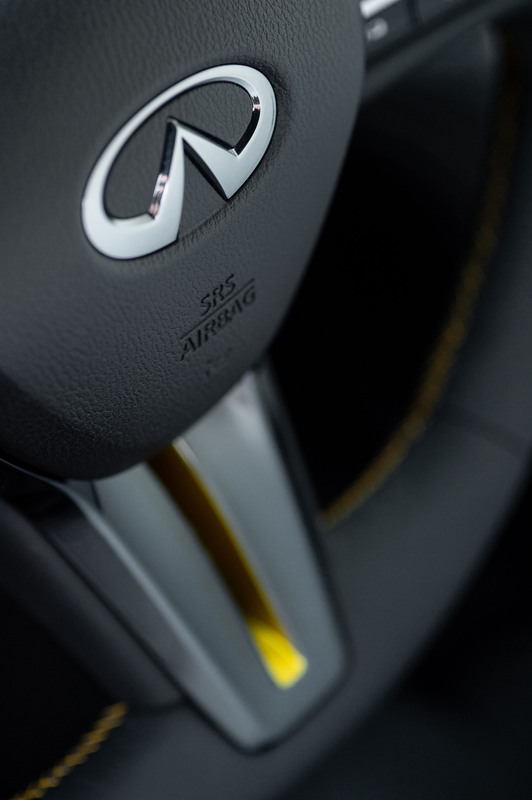 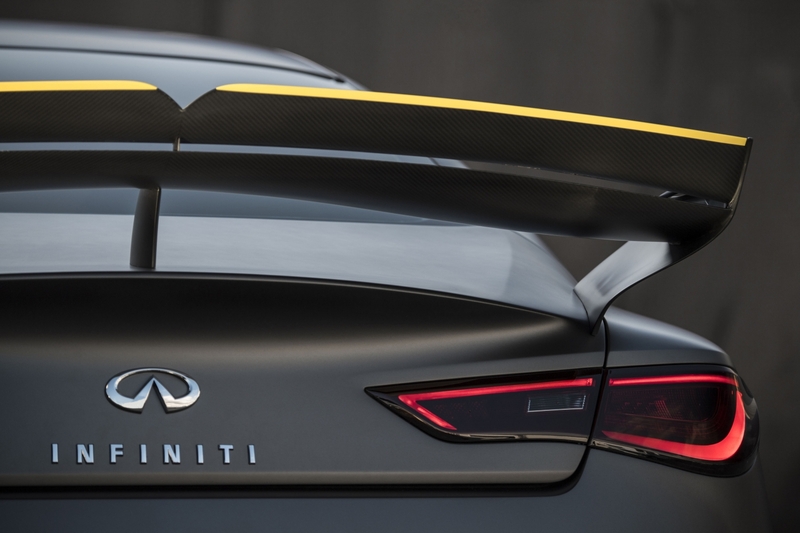 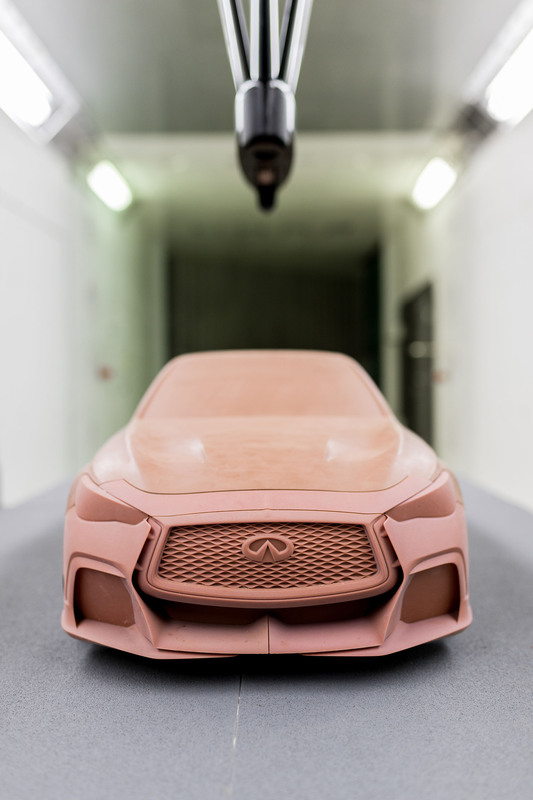 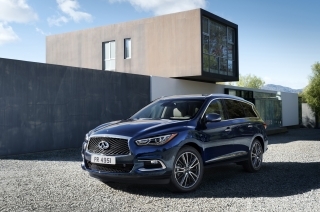 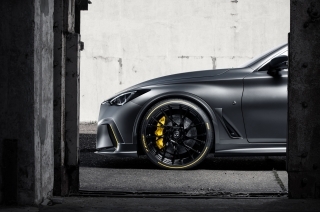 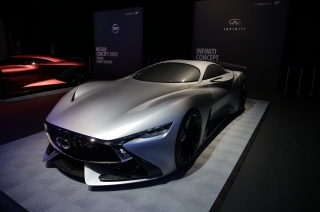 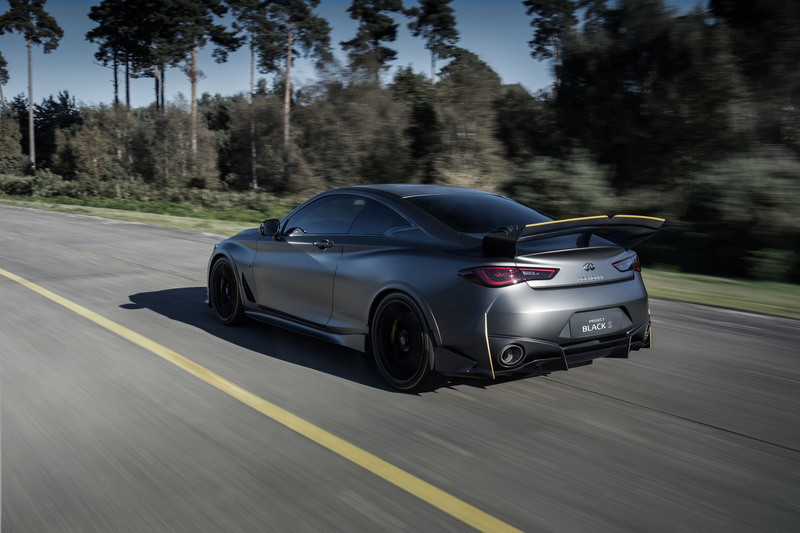 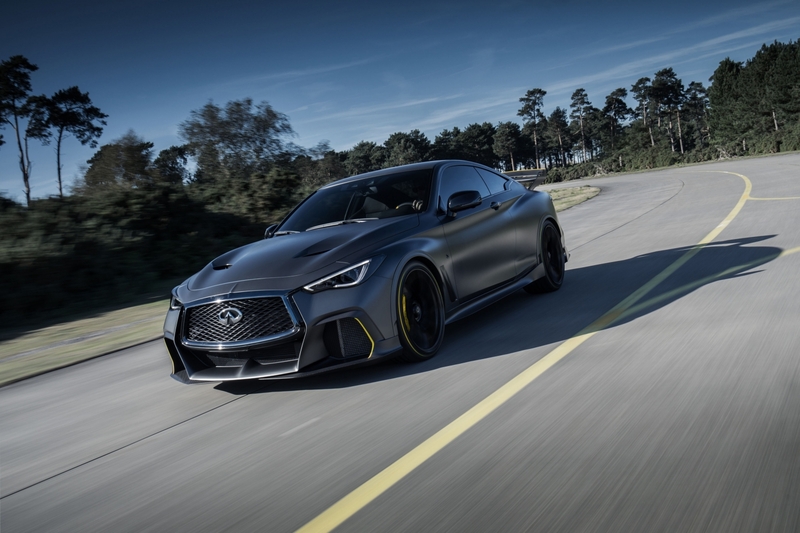 With additional development work planned for the coming months, the prototype’s approximate weight of around 1,775 kg (approximately 3,915 lbs), means the car offers a power-to-weight ratio estimated to be 39% higher than the Q60 Red Sport 400: around 235 kW per tonne (320 ps per tonne, 315 hp per tonne). 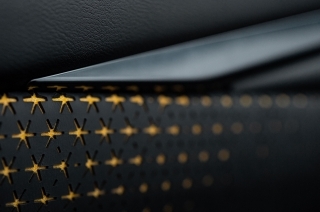 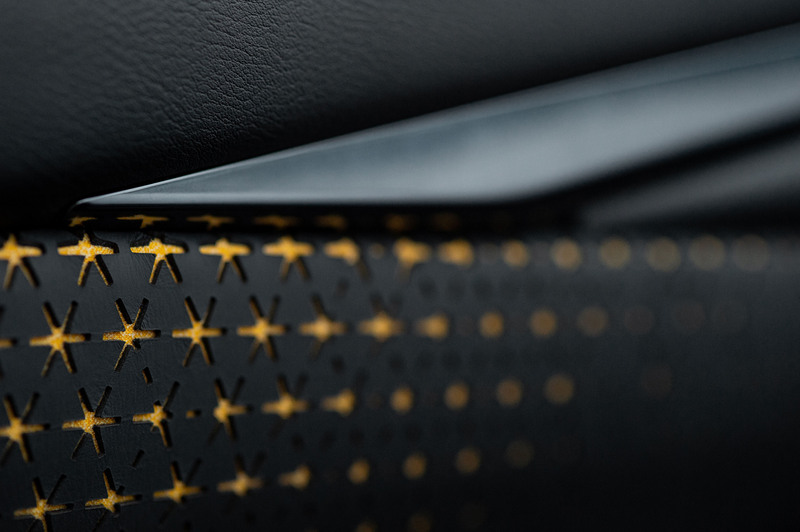 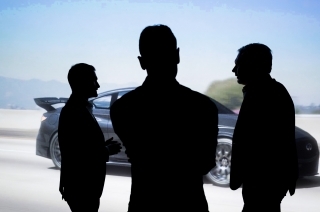 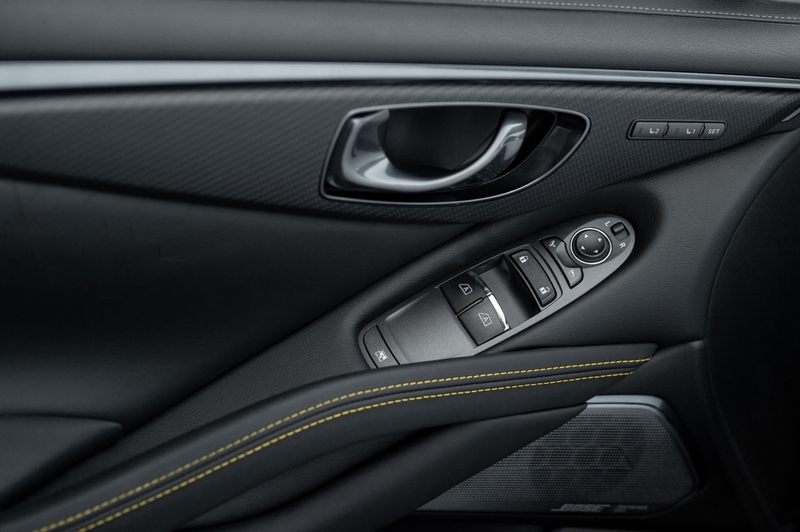 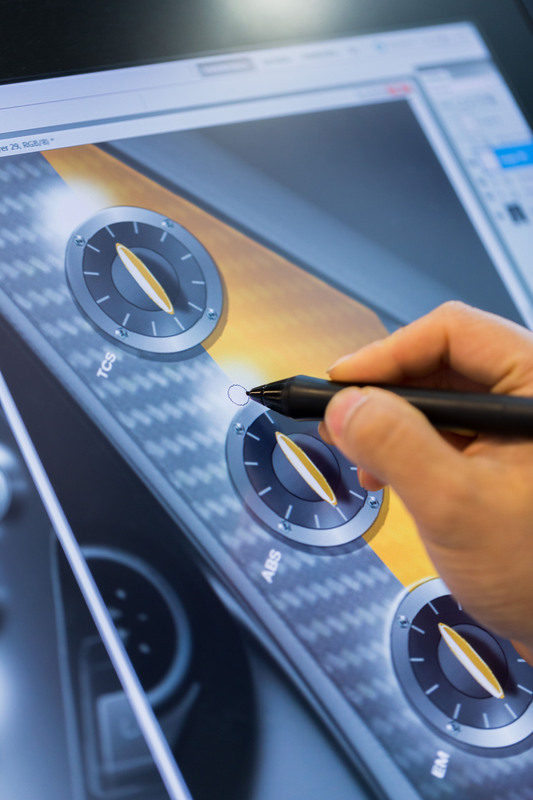 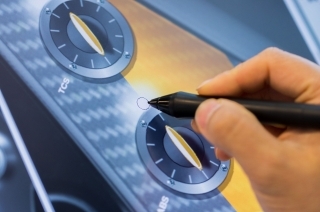 However, Project Black S isn’t simply about on-paper performance figures. 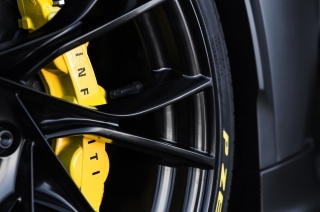 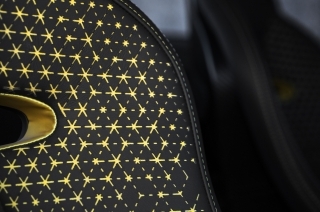 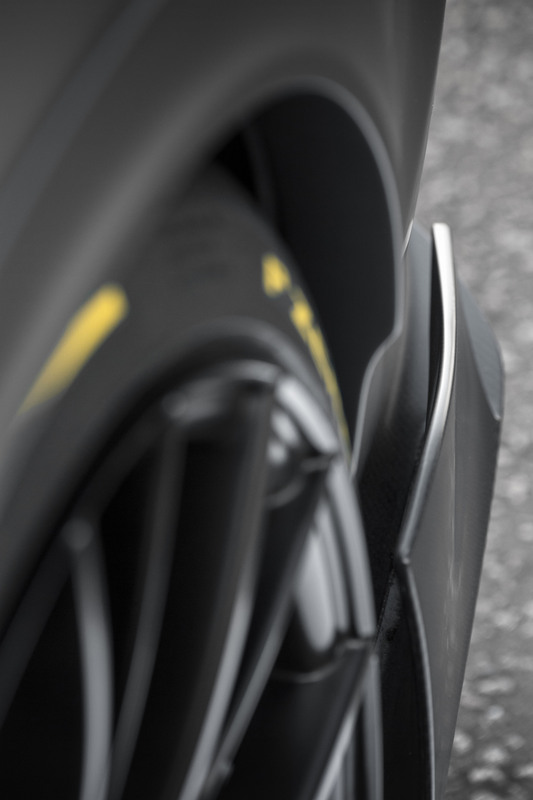 Uniquely, it provides sustained and sustainable hybrid performance, delivering devastating electrically-assisted acceleration, lap after lap after lap. 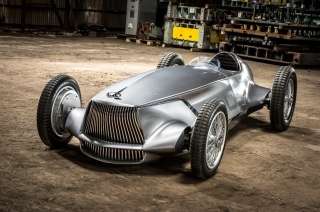 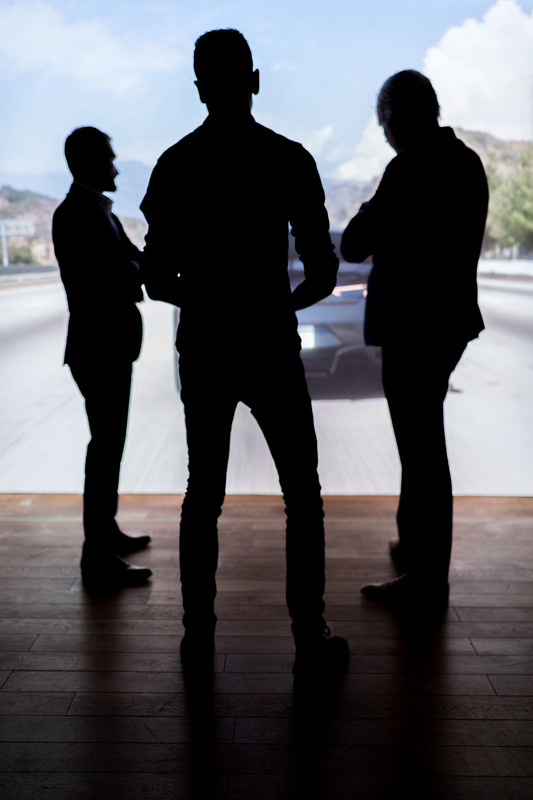 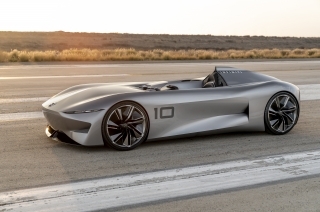 Befitting its development brief, the prototype offers drivers complete control over how the powertrain uses its electric power with three Formula One-inspired drive modes: ‘Road’, ‘Quali’ and ‘Race’. 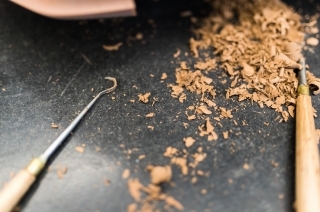 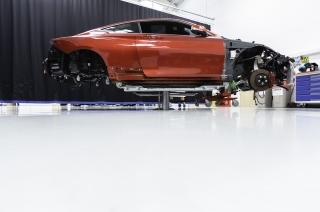 Each alters the way in which the powertrain gathers and discharges energy. 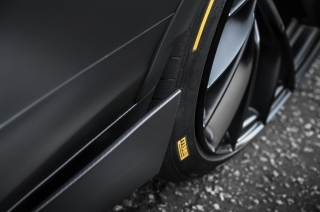 ‘Road’ mode offers the most flexible and efficient use of electric power, for use in conventional driving conditions. 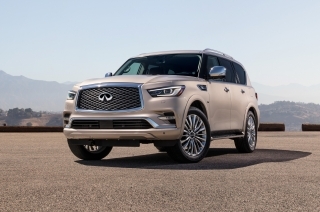 It recharges the battery on-the-go with low-level, non-invasive energy recovery, ensuring the driver can call upon a quick burst of acceleration to overtake another vehicle or gather speed when joining a highway. 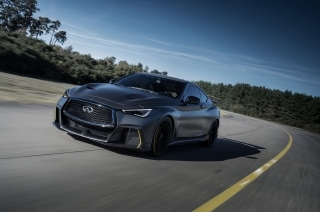 It can provide a small boost to the efficiency of the engine under acceleration, and the dual-hybrid system delivers its power to ensure the car can excel at road-legal speeds. 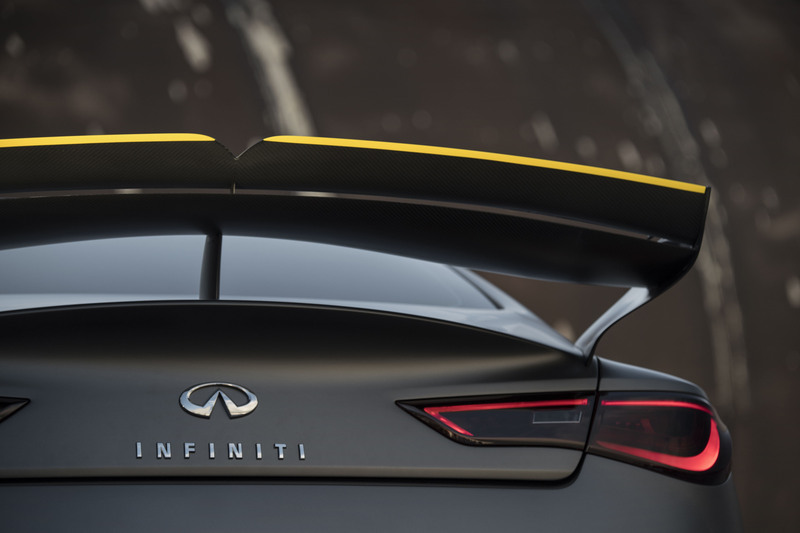 ‘Quali’ Mode offers ultimate on-track performance, deploying as much power as possible under acceleration and enabling the prototype to carry on building speed, even on longer straights. 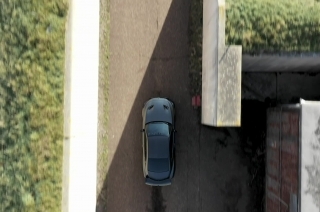 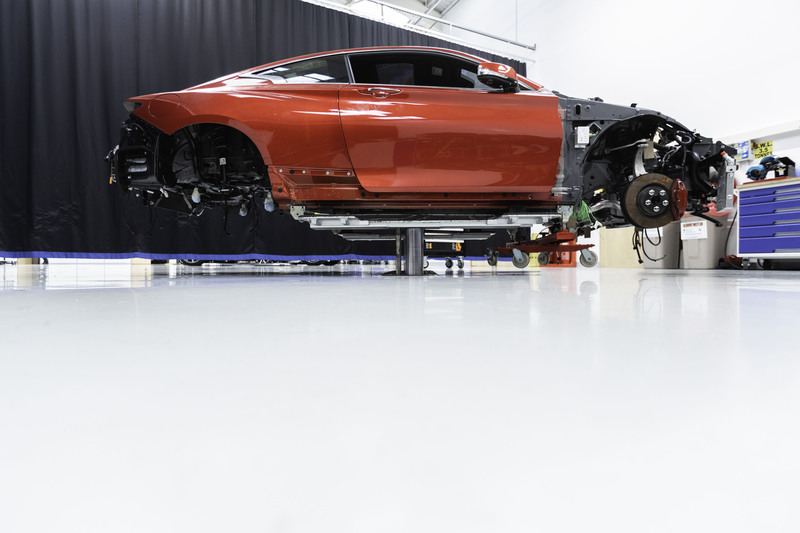 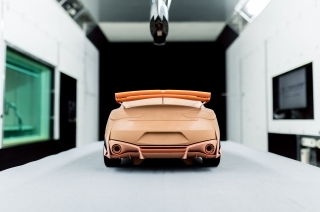 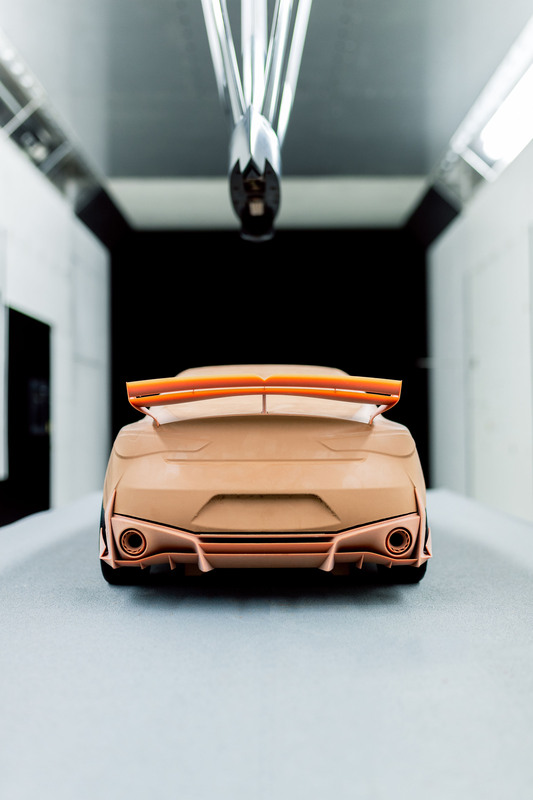 In this mode, the prototype harvests more kinetic energy under heavy braking as the driver approaches a corner (compared to Road mode, where the increased kinetic braking effect would negatively impact the driver’s ability to drive smoothly). 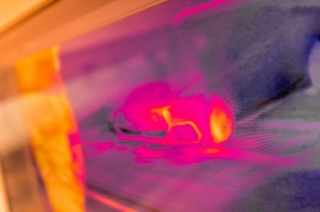 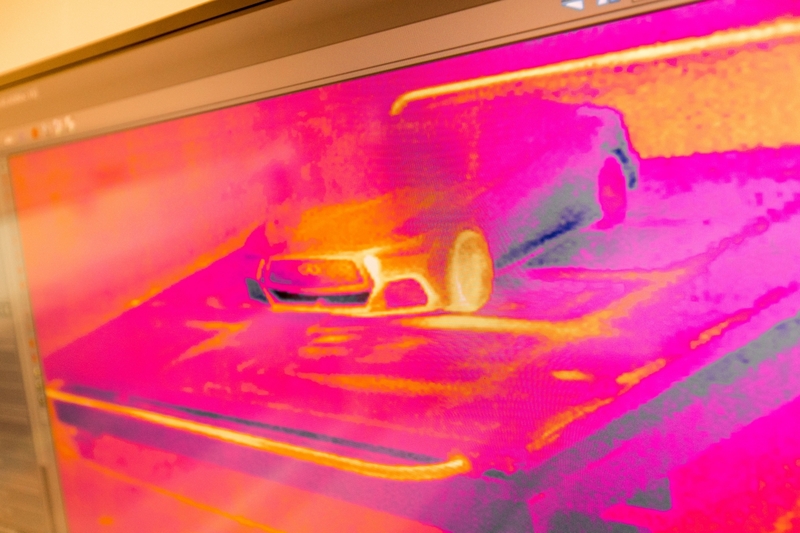 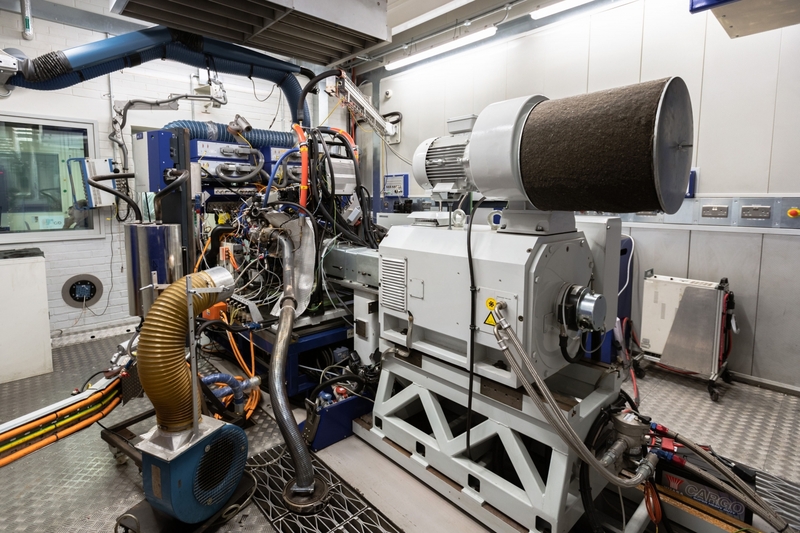 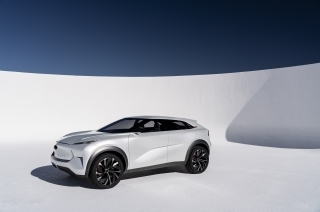 Accelerating away from the turn, the battery then discharges energy to help the car gather speed quickly, even as the MGU-H continues to recover heat energy. 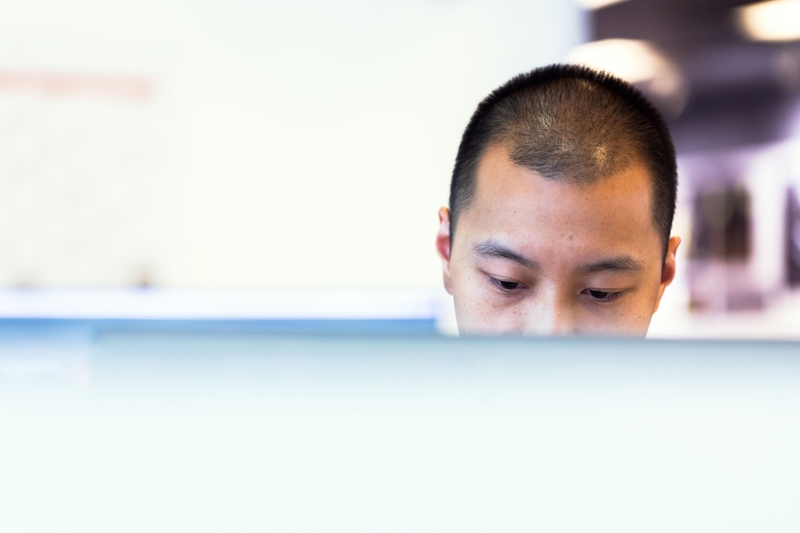 ‘Race’ mode is designed to offer a sustained deployment of energy for use on the track. 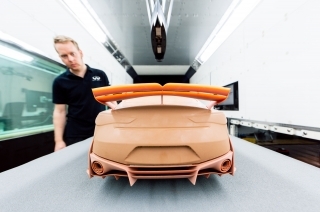 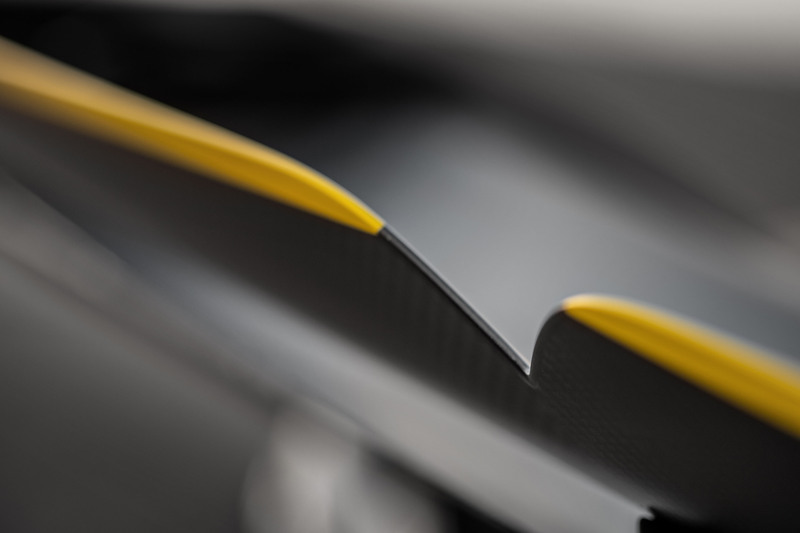 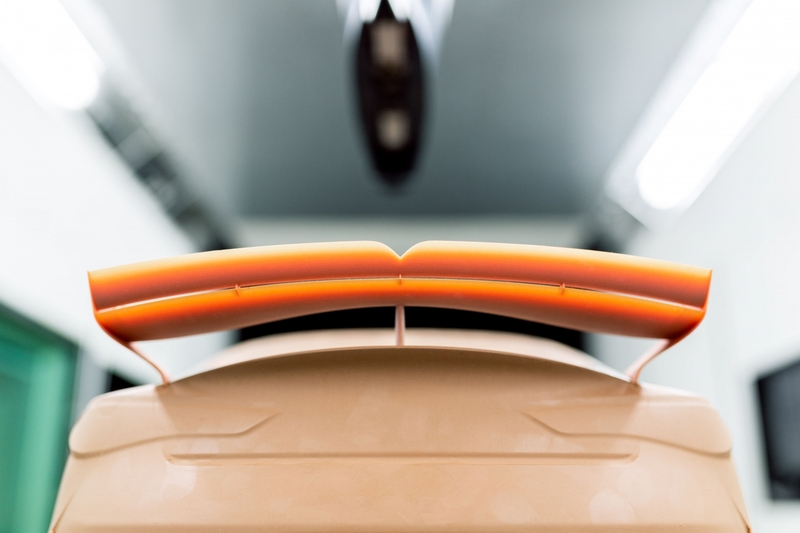 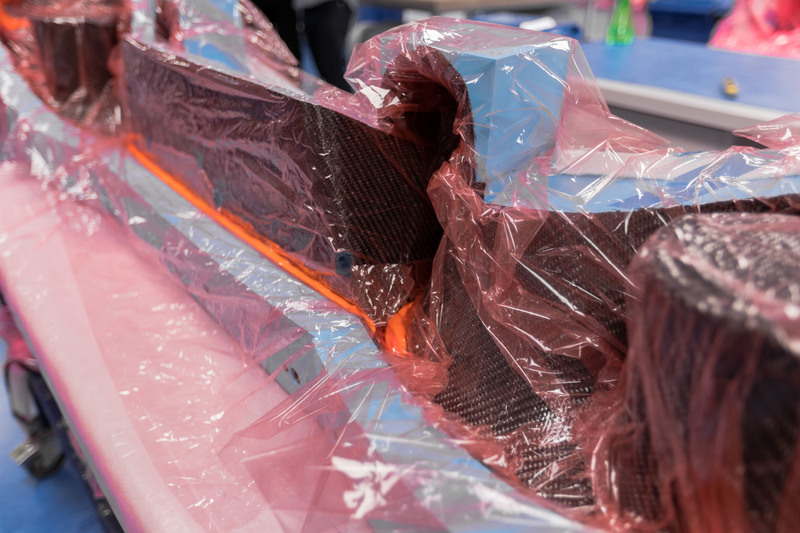 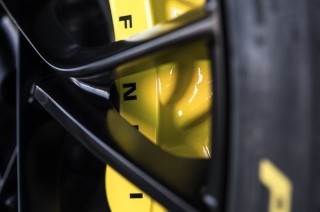 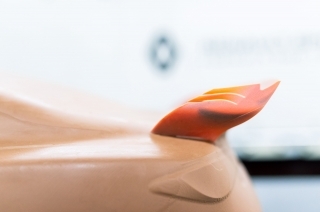 In this mode, in contrast to ‘Quali’ mode, the prototype releases energy under acceleration where its deployment can maximize on-track performance or lap times, and saves energy elsewhere if needed. 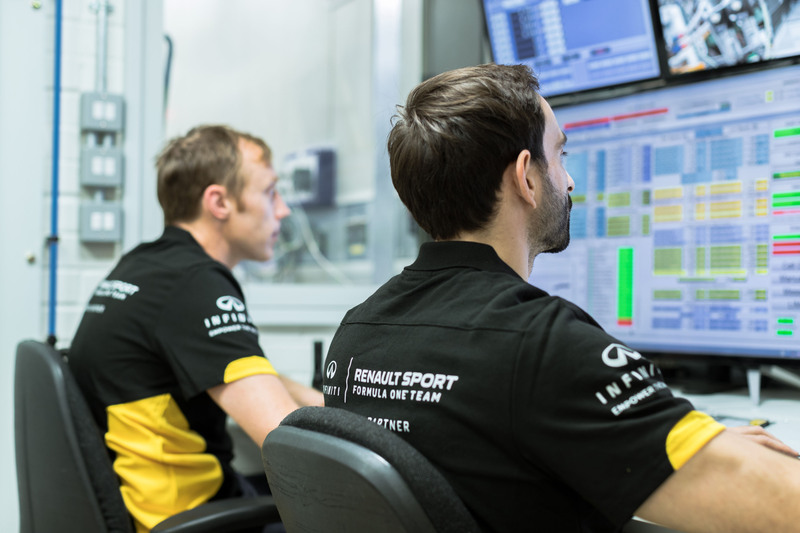 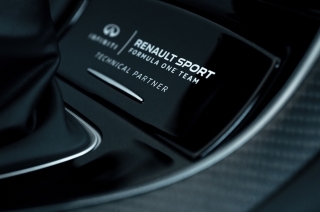 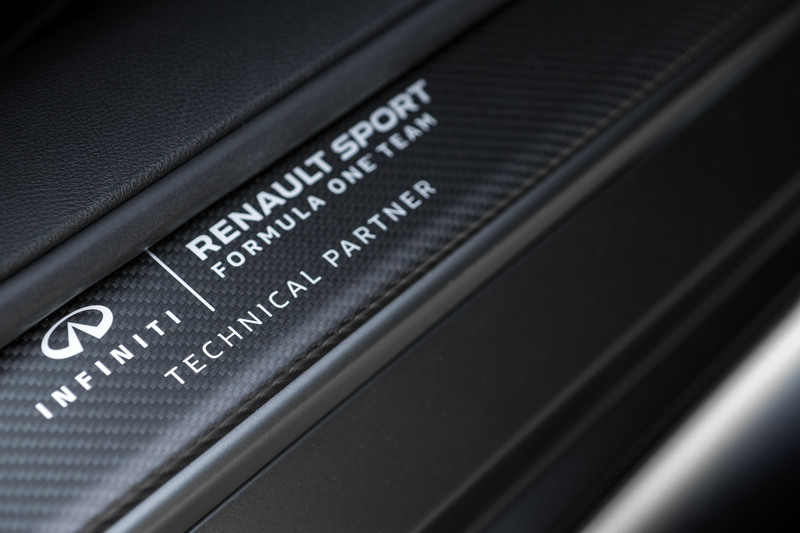 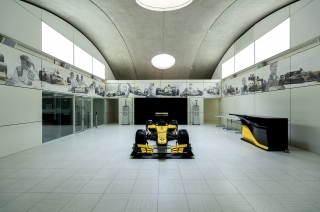 Of the three modes available, ‘Race’ mode is most similar to that used by the Renault Formula One Team throughout the course of a full race. 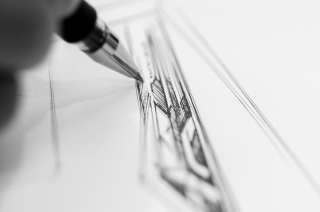 The development aim has been to minimize performance compromises relative to ‘Quali’ mode, and the deployment strategy to achieve this depends on track layout. 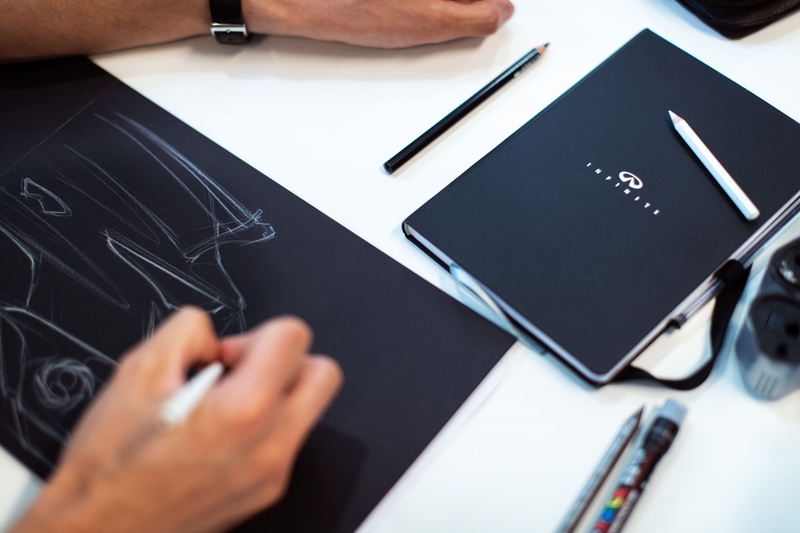 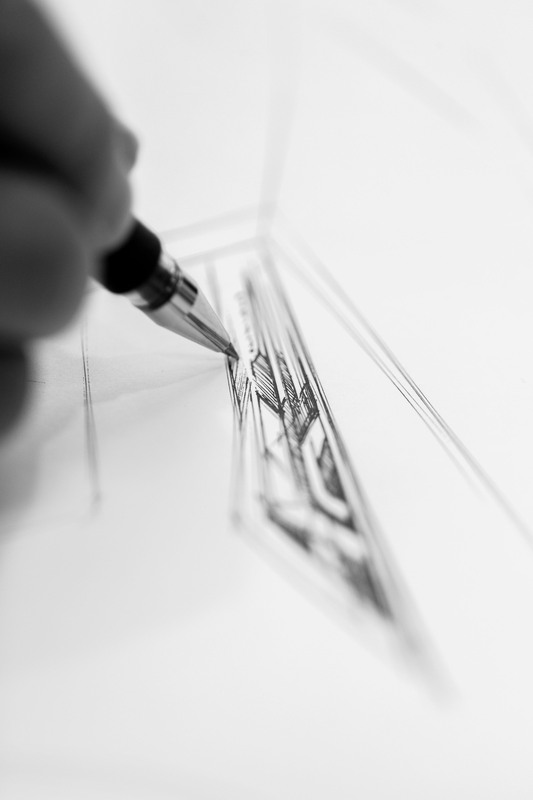 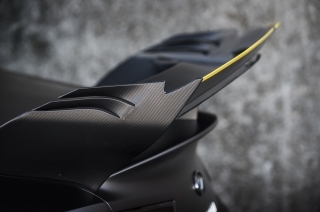 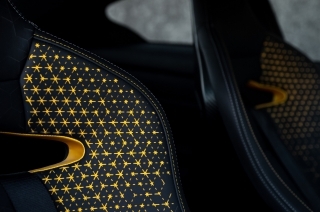 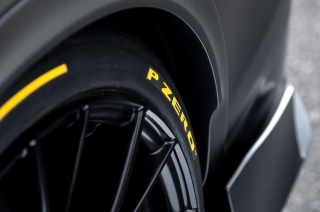 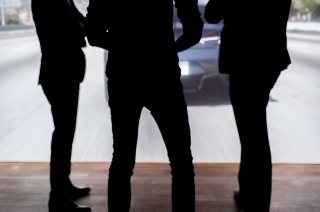 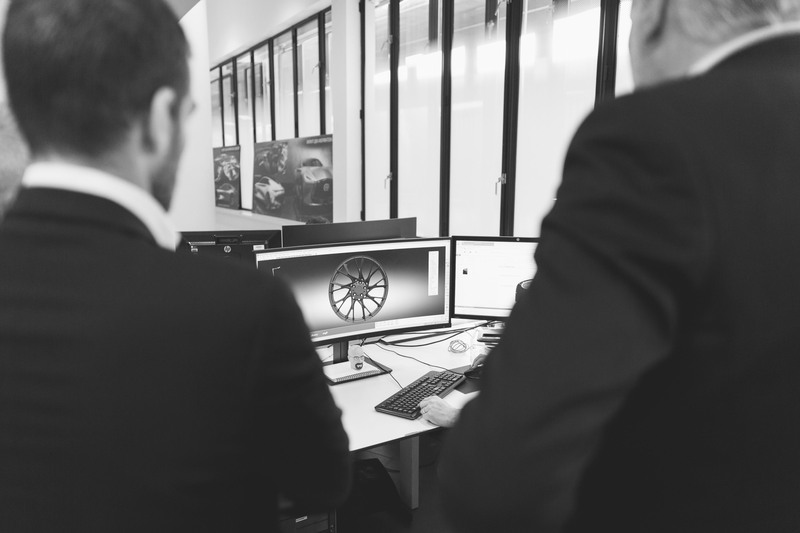 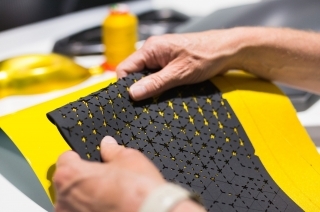 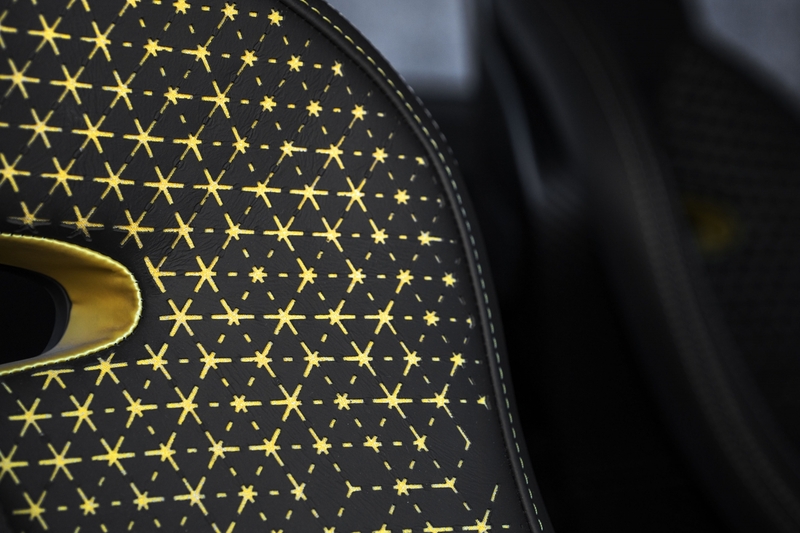 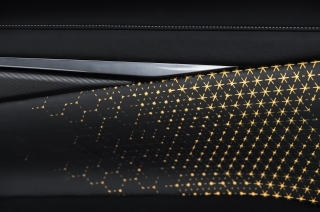 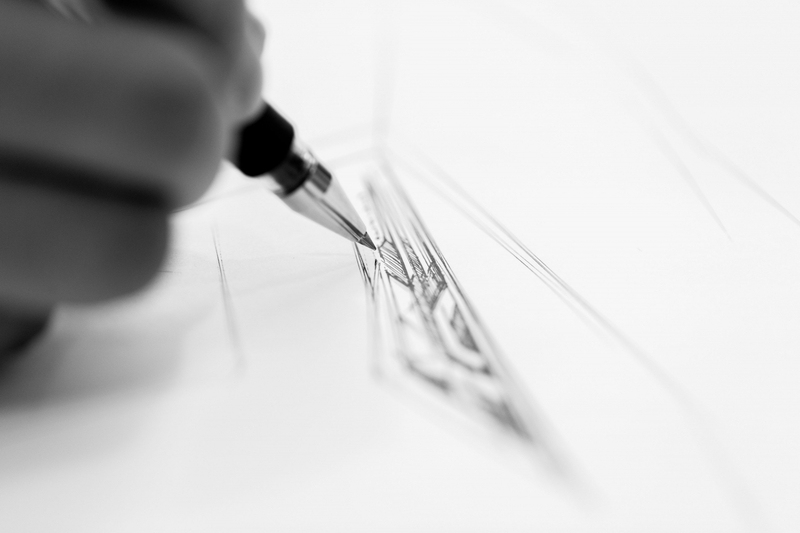 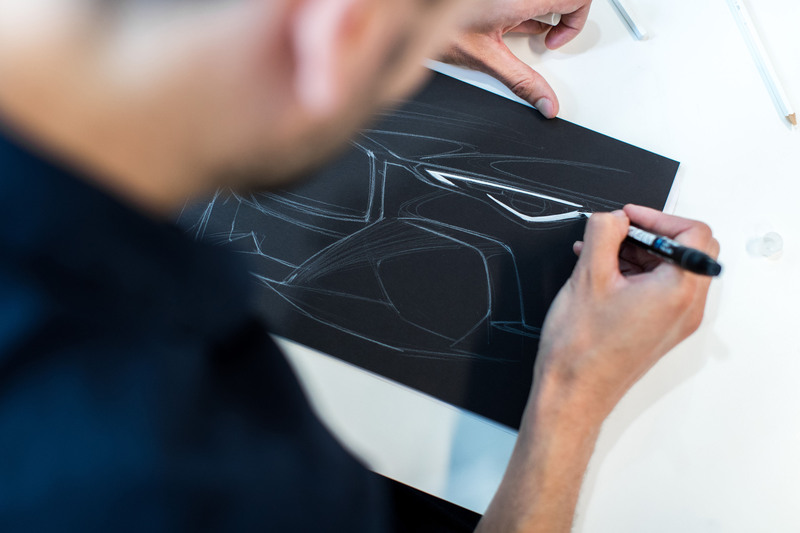 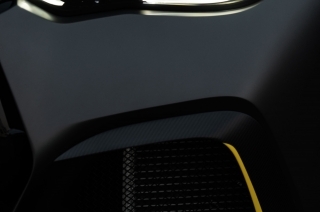 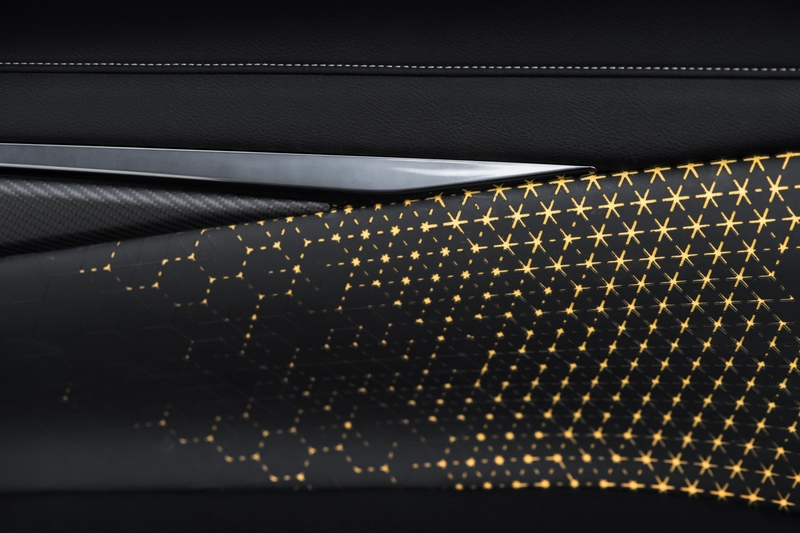 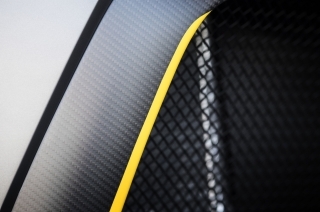 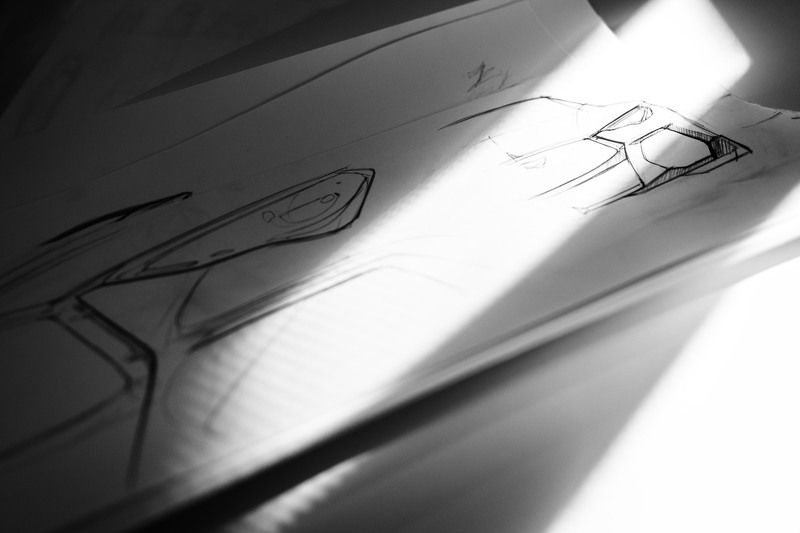 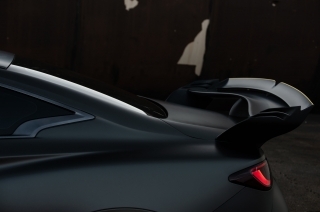 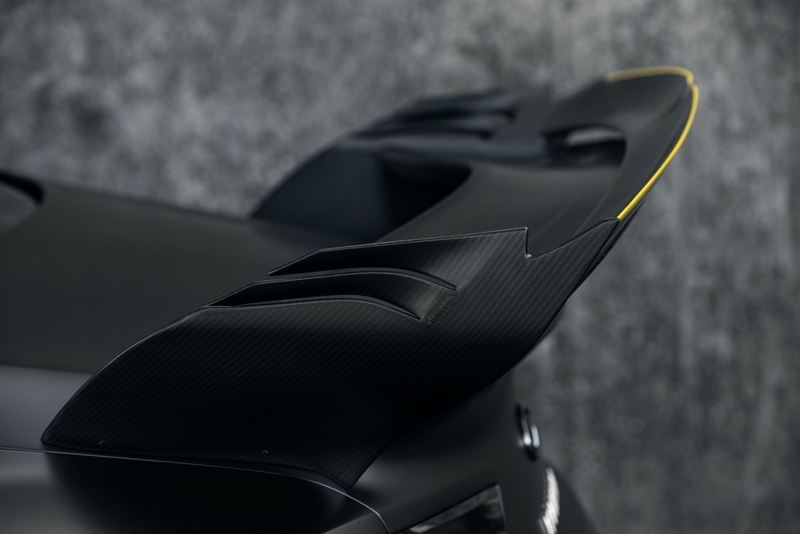 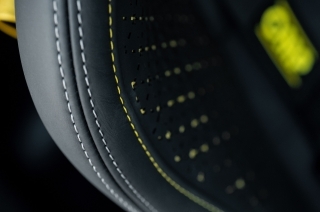 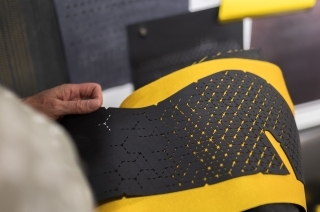 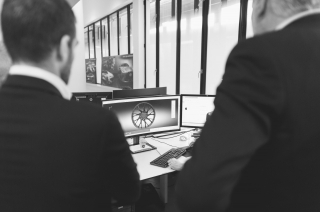 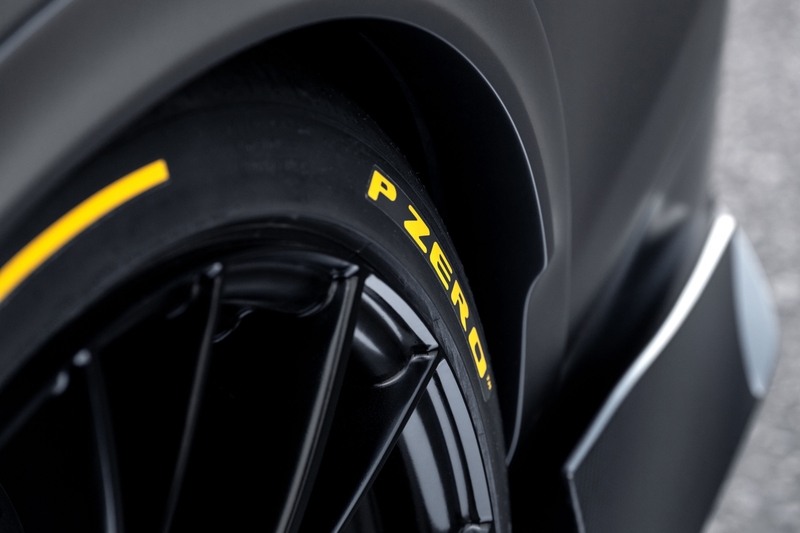 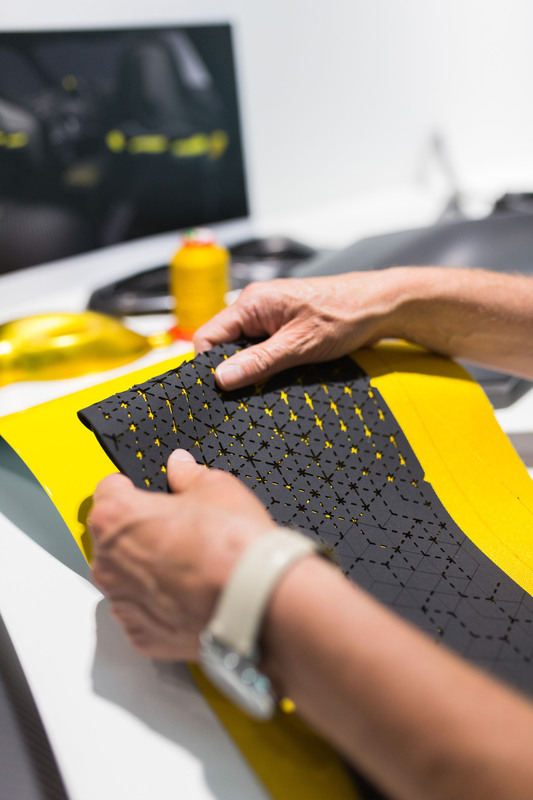 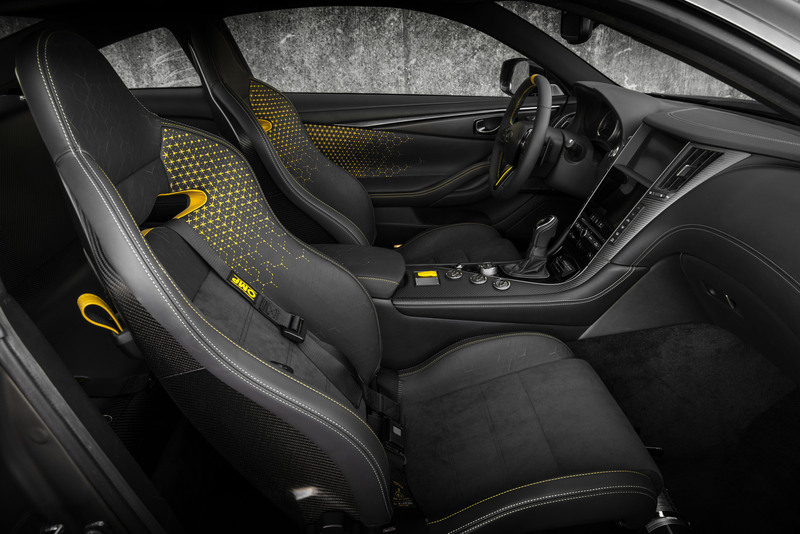 The Project Black S prototype uses a mathematical approach derived from Formula One. 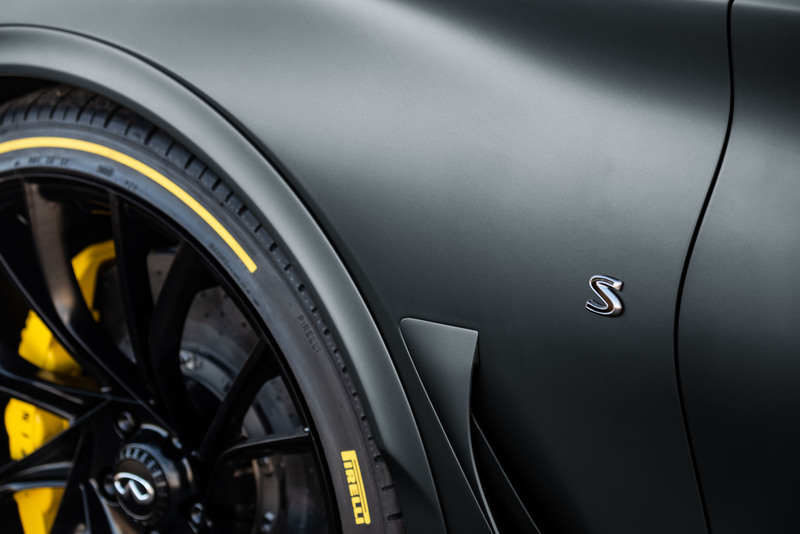 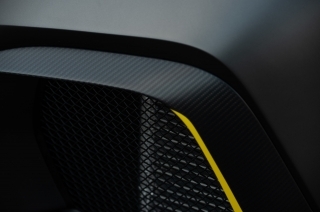 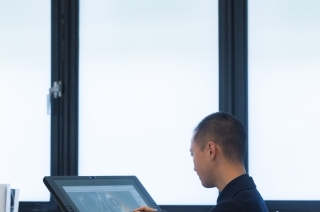 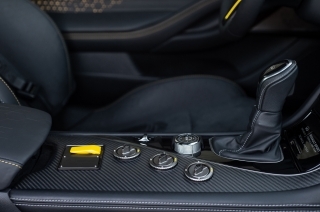 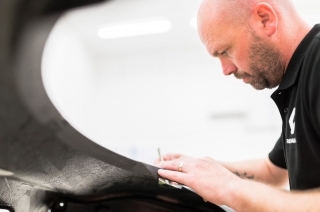 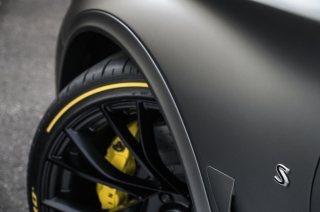 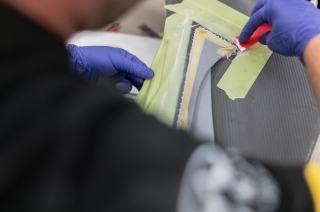 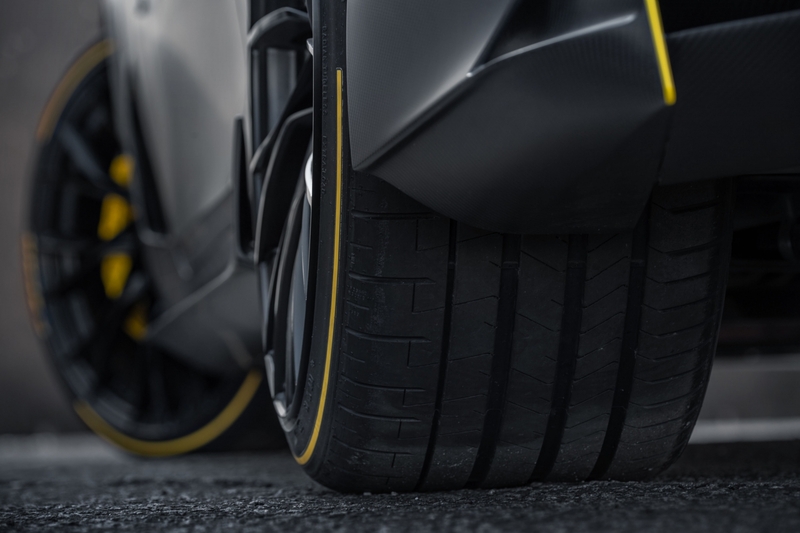 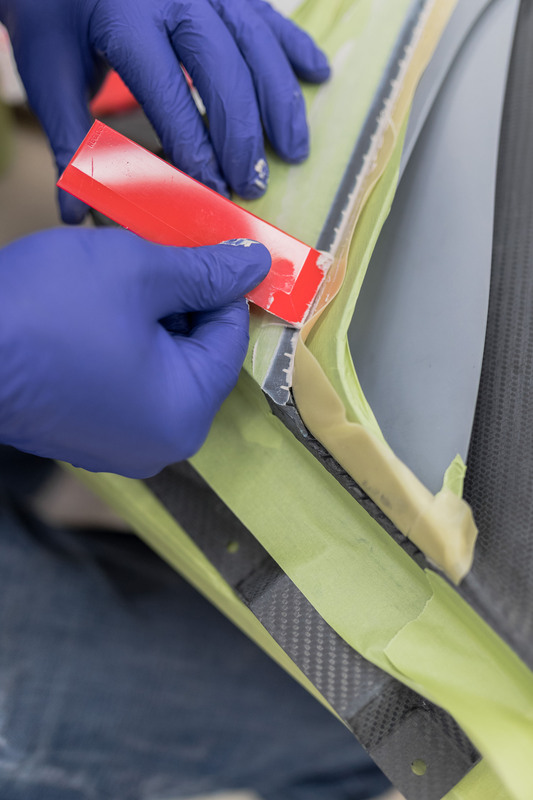 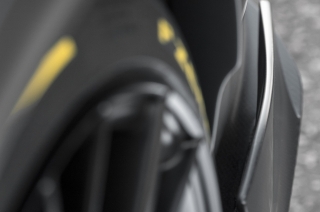 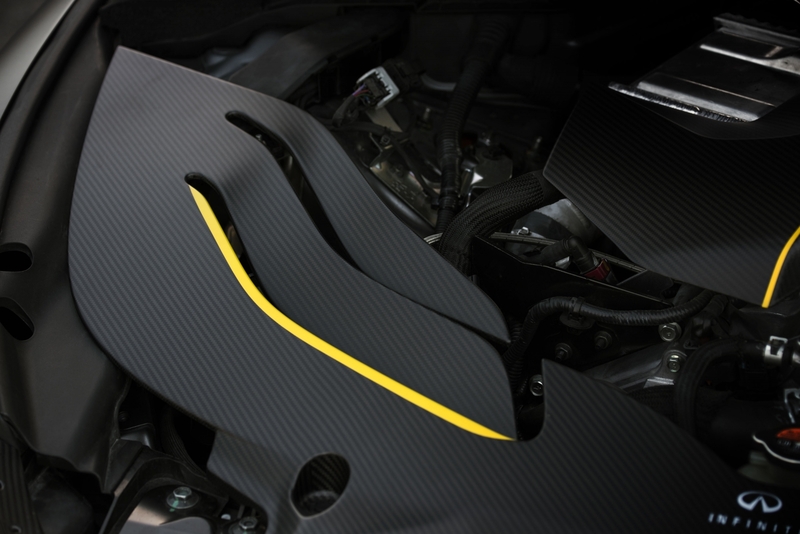 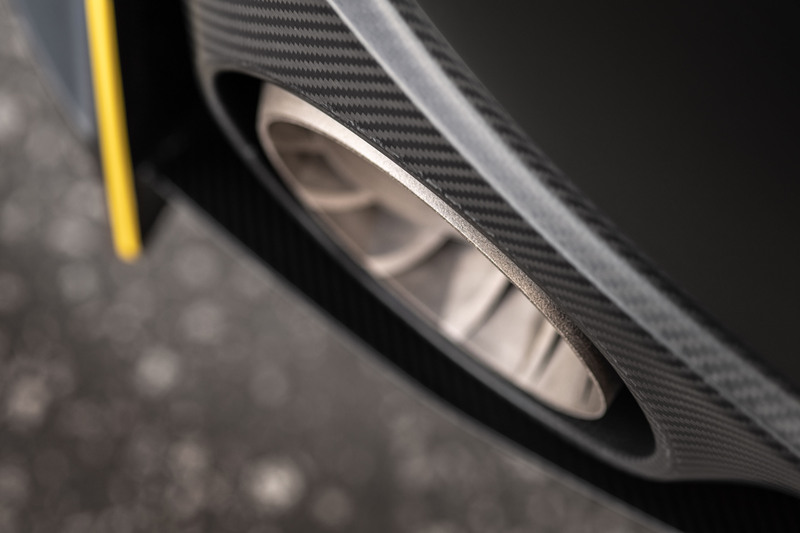 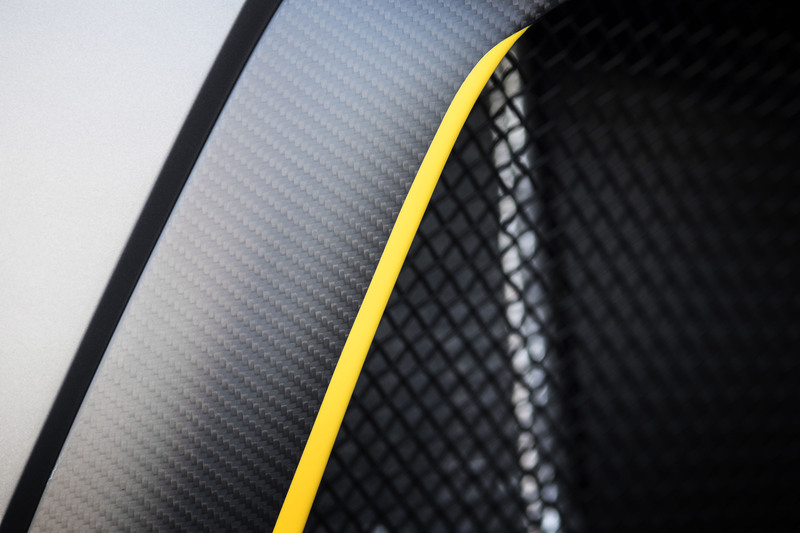 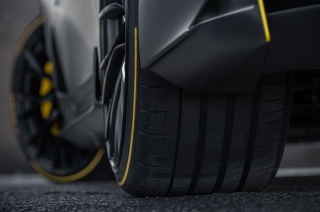 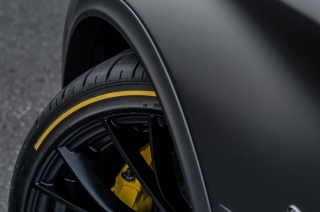 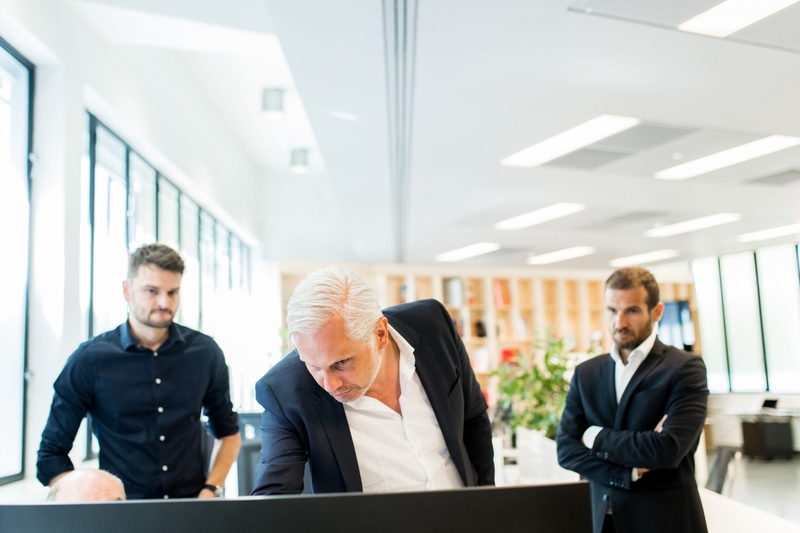 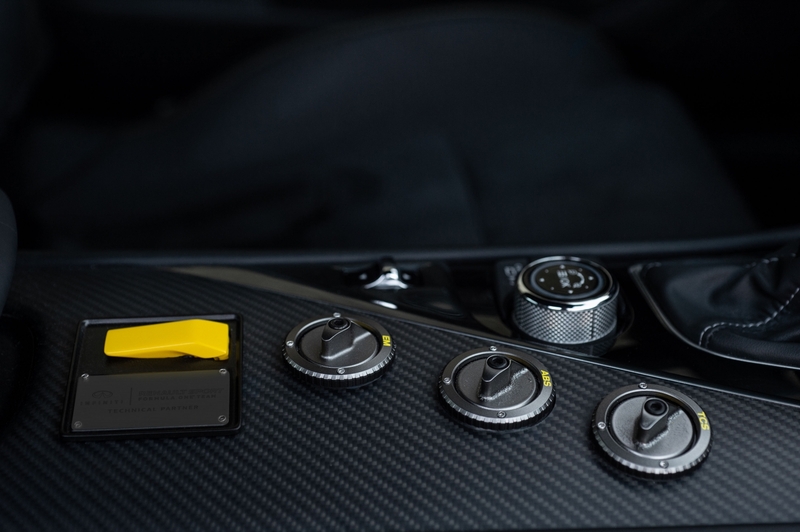 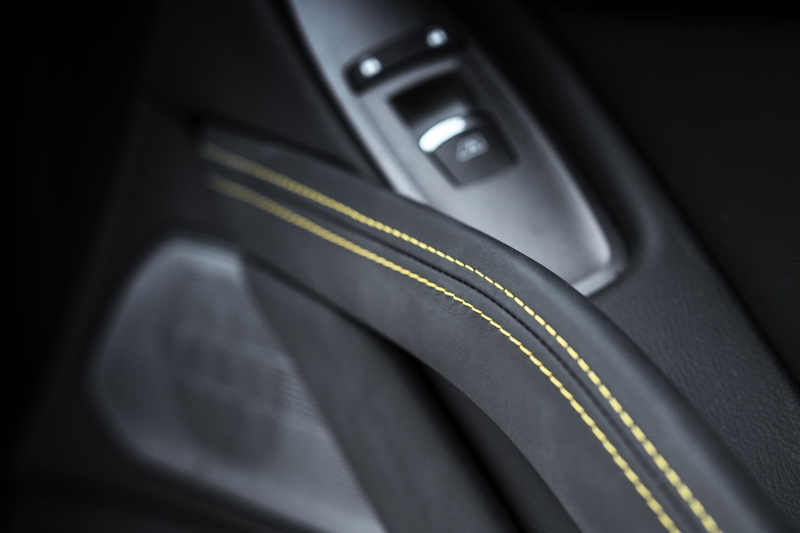 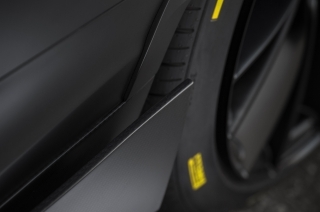 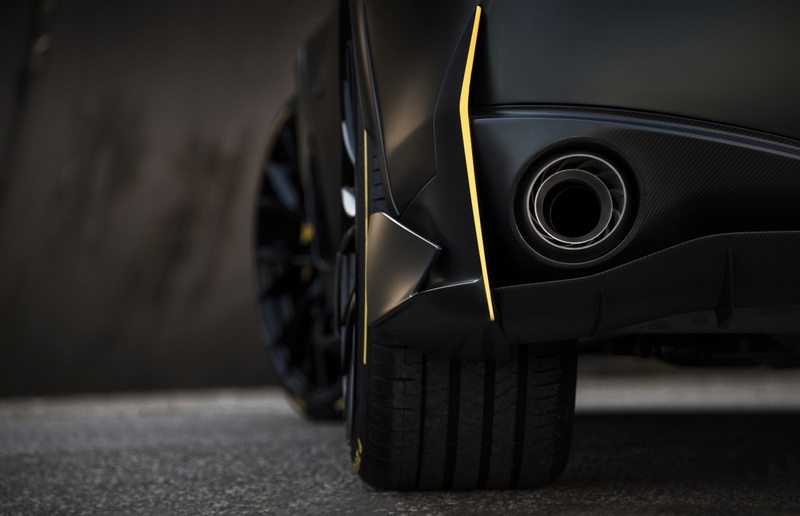 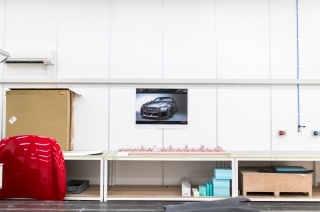 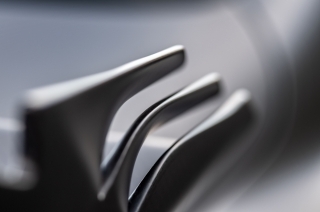 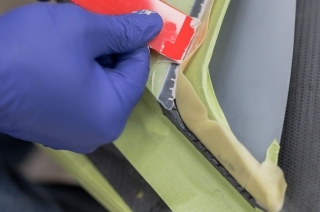 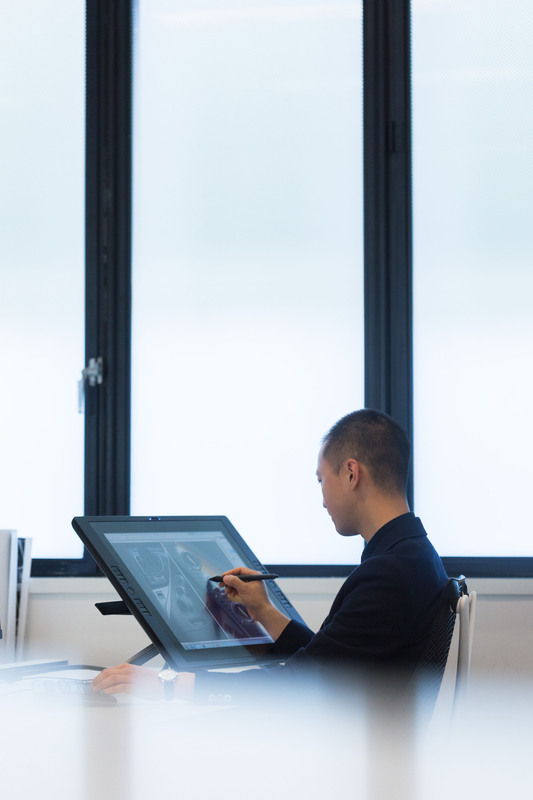 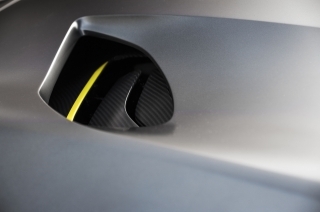 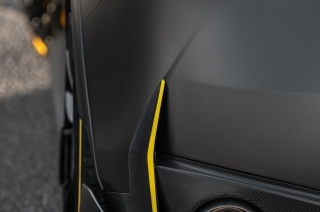 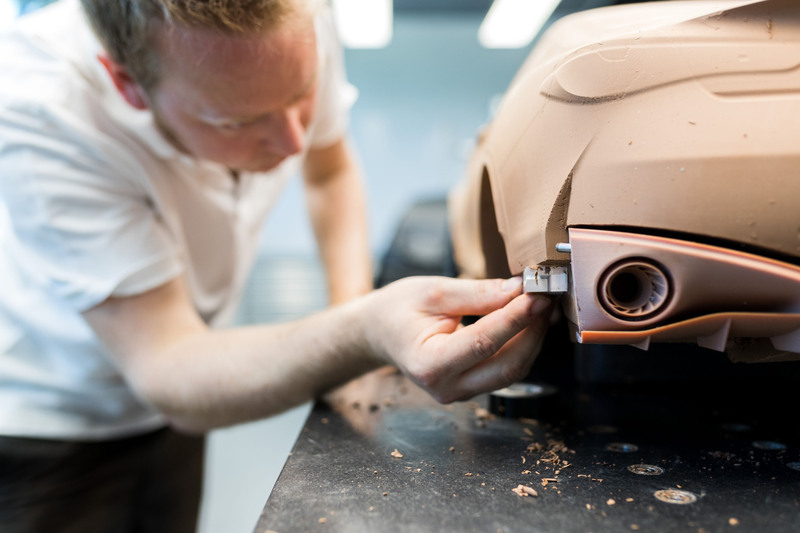 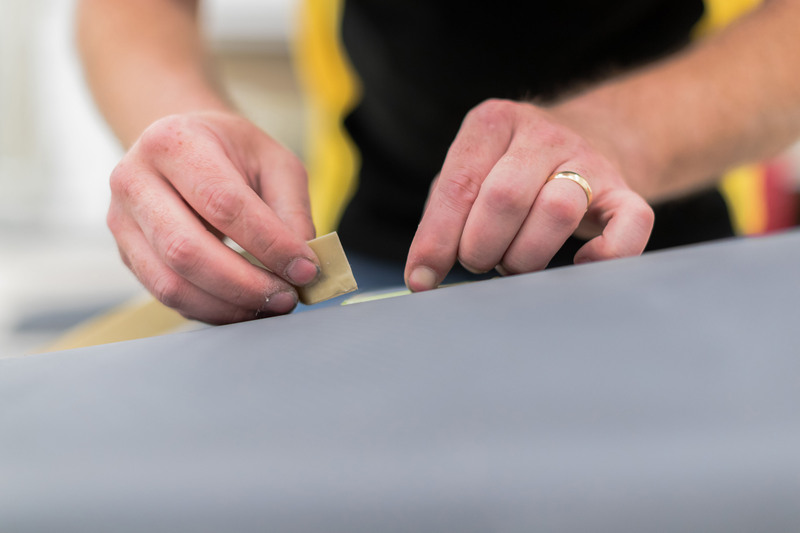 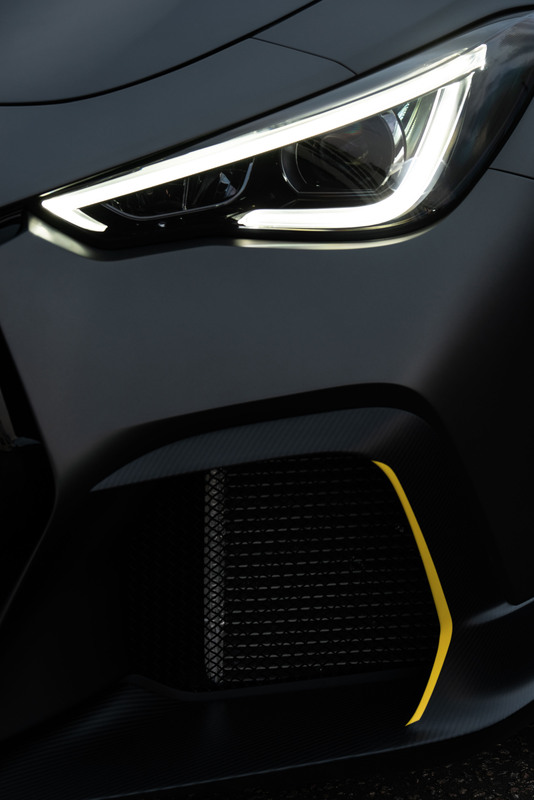 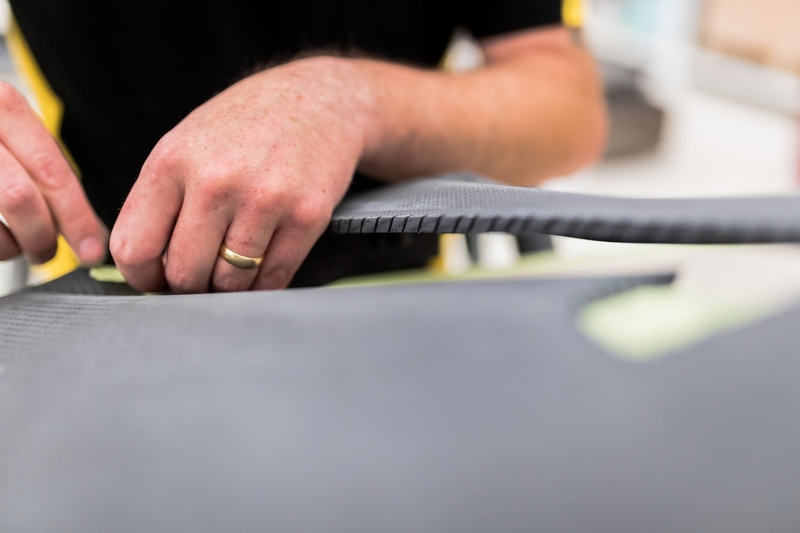 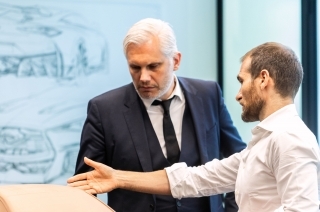 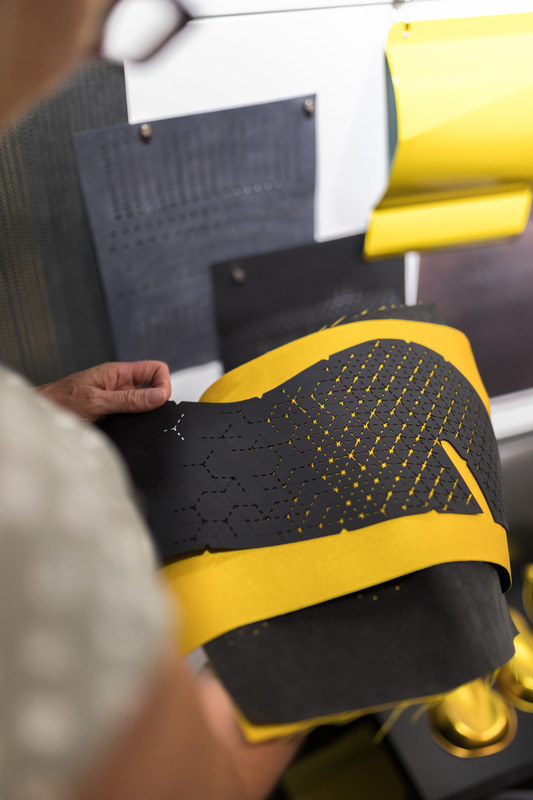 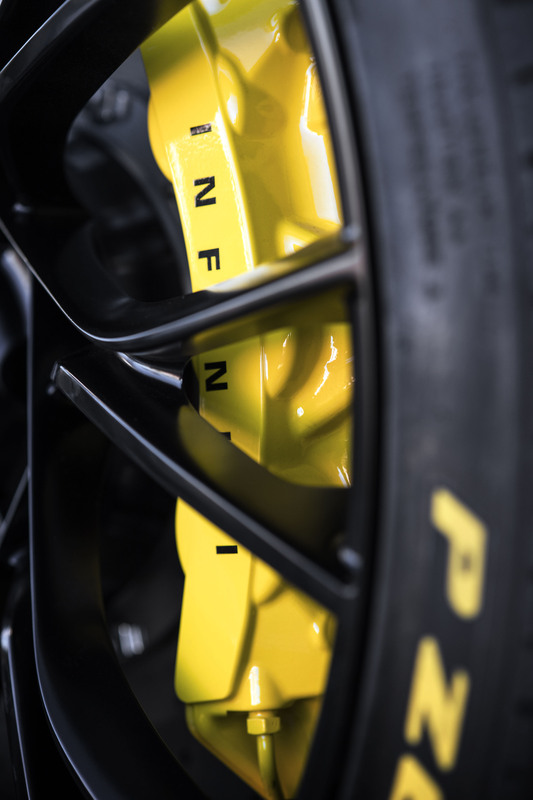 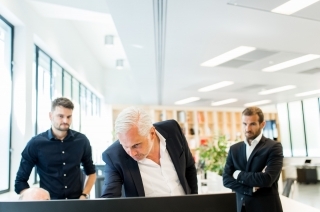 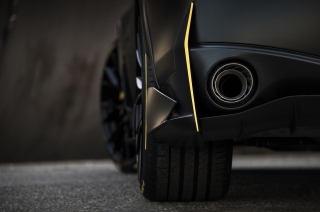 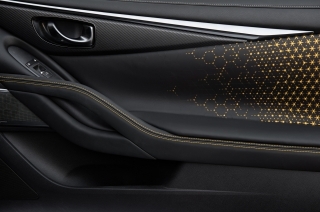 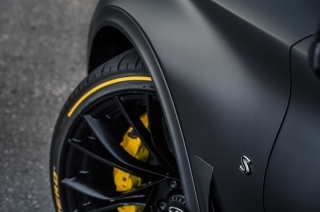 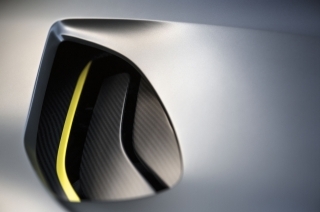 The sustainability of ultimate performance is a challenge in the development of any performance hybrid car – the dual-hybrid system in the Project Black S prototype addresses this. 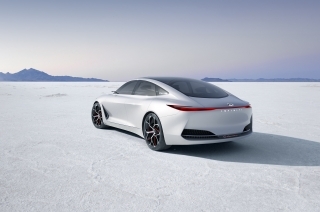 As it recovers energy under both braking and acceleration, the balance of energy use and storage can be improved significantly. 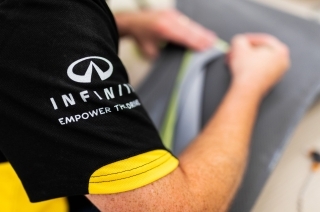 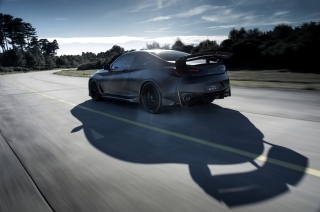 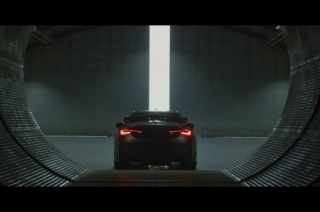 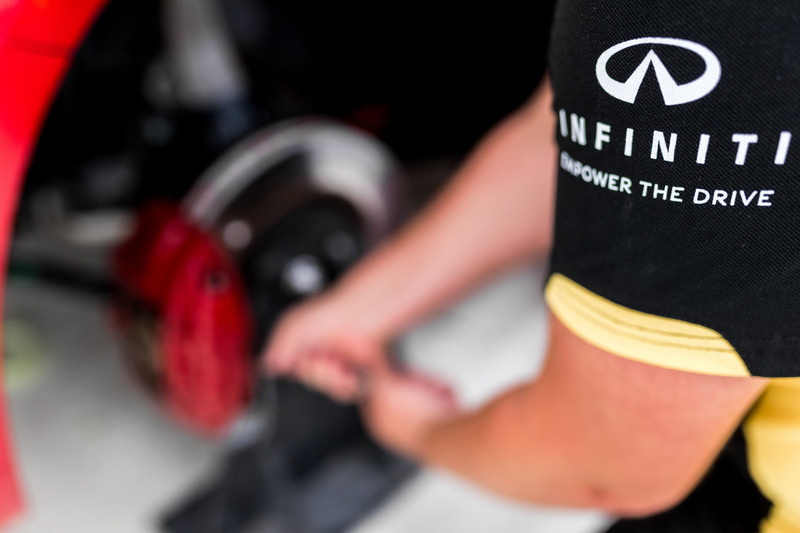 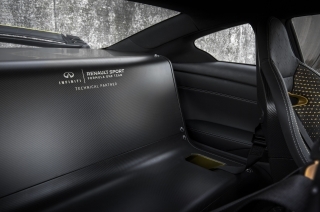 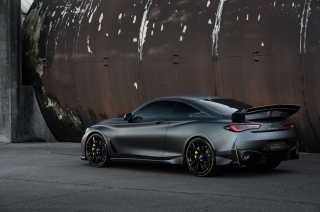 Under testing by the Renault Sport Formula One Team, in a digital test program emulating the 4.655-km Circuit de Barcelona-Catalunya, the Q60 Project Black S discharged just 15% of its full battery power over the course of a lap, even in ‘Quali’ mode. 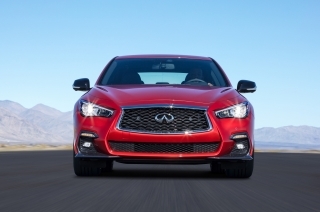 Under the same conditions, INFINITI’s earlier single-hybrid performance car, the Q50 Hybrid, discharged around 80% of its battery power. 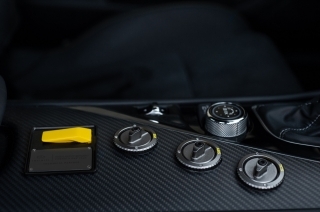 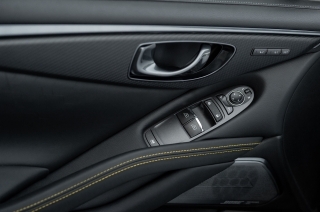 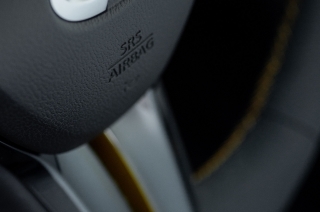 In addition to the three drive modes, drivers can also adapt the car’s anti-lock braking (ABS) and traction control systems with adjustable modes for road and track driving. 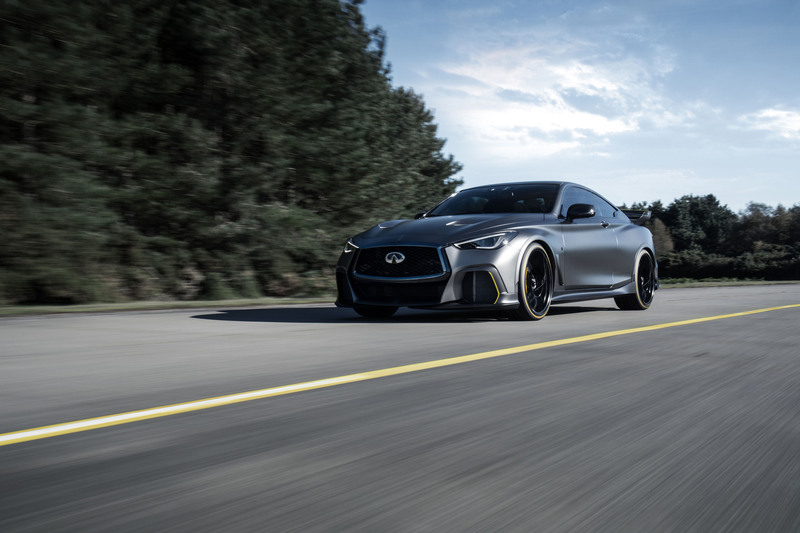 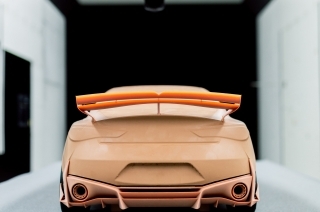 Two-door, two-seat prototype sports coupe, with carbon fiber and steel unitary construction bodyshell. 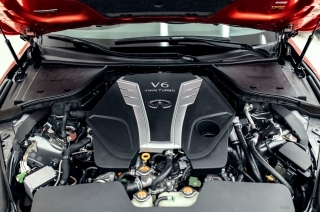 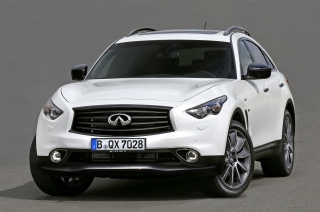 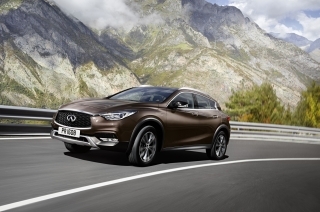 Six-cylinder twin-turbocharged dual-hybrid engine driving the rear wheels via seven-speed automatic transmission.